Around 30 minutes’ drive from Zürich is the small town of Hinwil, which is an extremely sleepy place at this time of year. 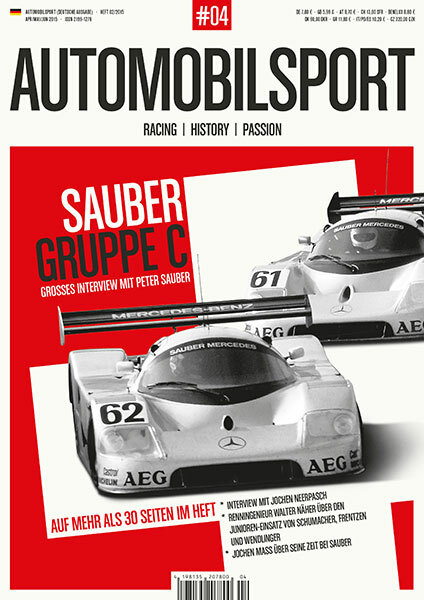 Nestling among the mountains, on the edge of a small industrial estate is Sauber Motorsport AG. This place, steeped in motorsport history, is where a team of now 320 people work on the development of the latest Formula race cars for the Sauber F1 team. 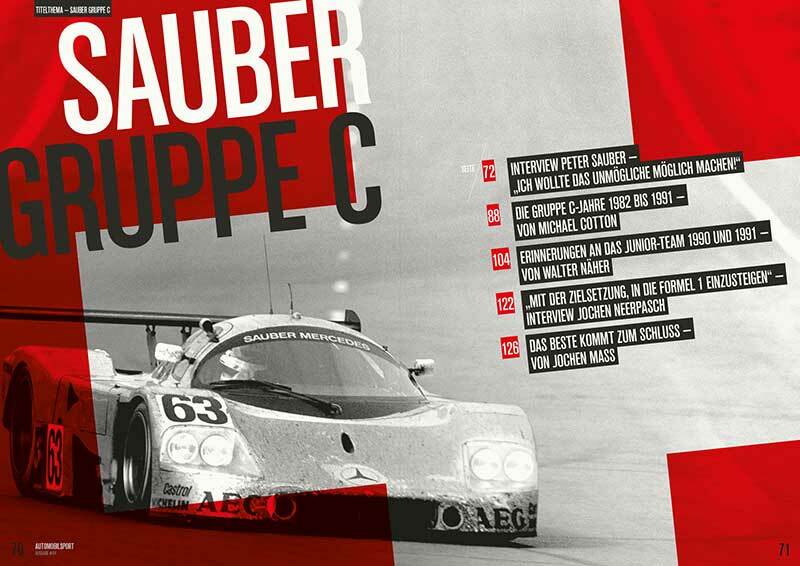 Company founder Peter Sauber is himself no longer active in the day-to-day business and is also no longer at the forefront when it comes to being at race tracks and the dozens of obligatory calendar dates during the racing year. A large picture hangs above the founder’s desk in his rather unostentatious office – it’s a painting of a racing scene. 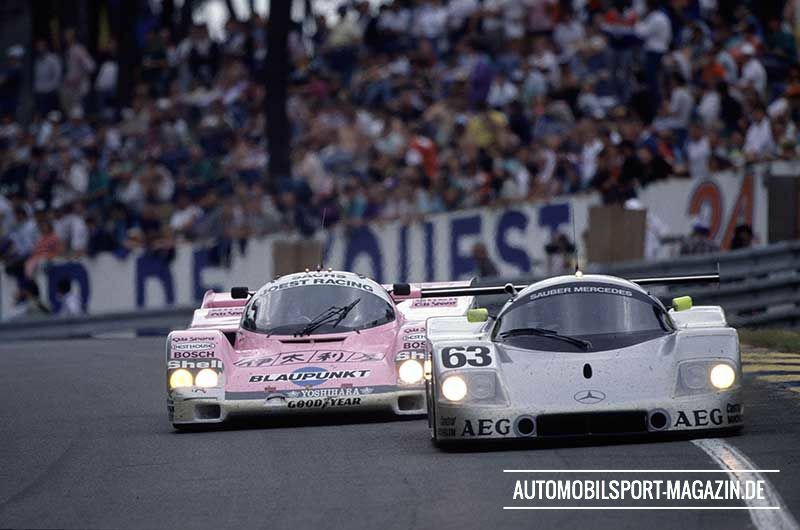 Two Sauber Mercedes C9 Silver Arrows bearing the numbers 63 and 62 can be seen on their way to a double Le Mans victory in 1989. 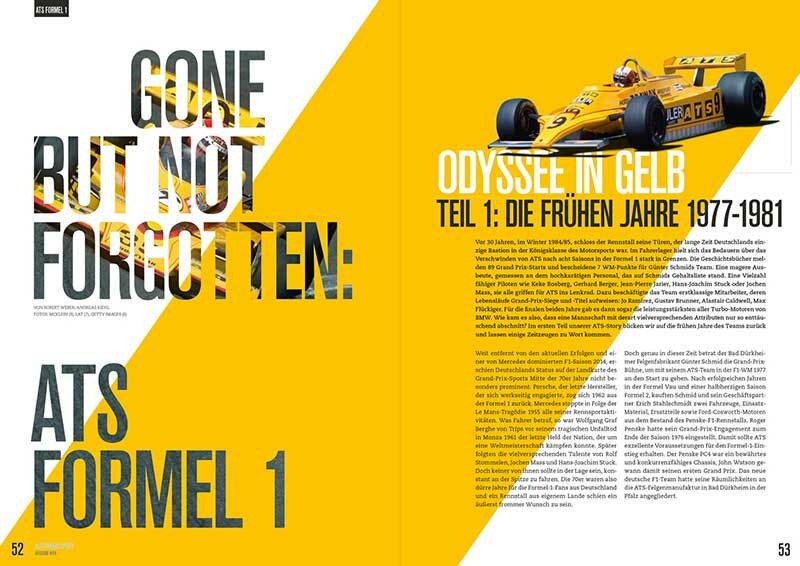 It’s a moment in time – and an image for eternity – that has burned itself into Peter Sauber’s memory. 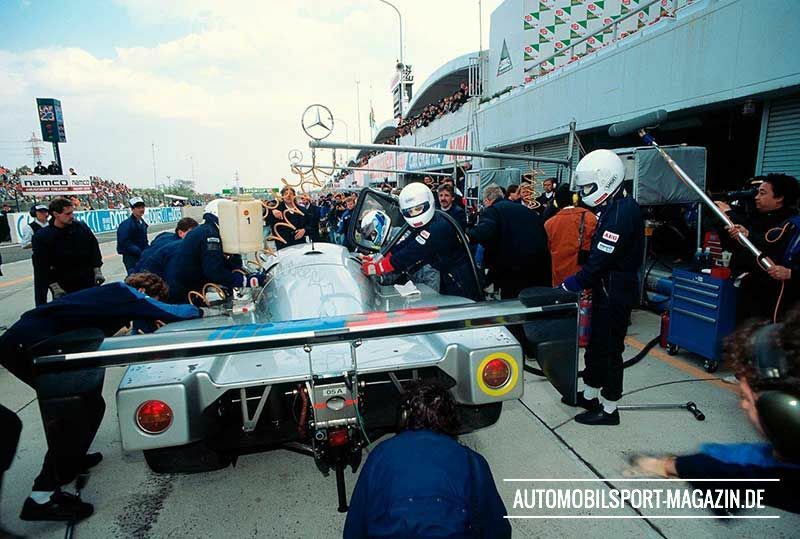 This year, 1989, was the year Mercedes-Benz decided to return to the grid with Mercedes Silver Arrows, 1989, 34 years after its withdrawal from factory sport. 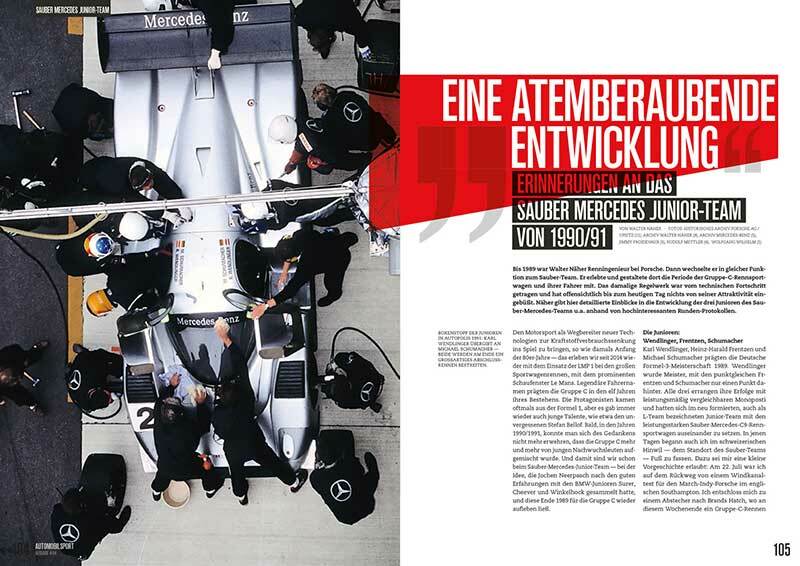 It was Peter Sauber that the Stuttgart firm entrusted to build the vehicles at his production facility and to bring Mercedes-Benz back into international motorsport. 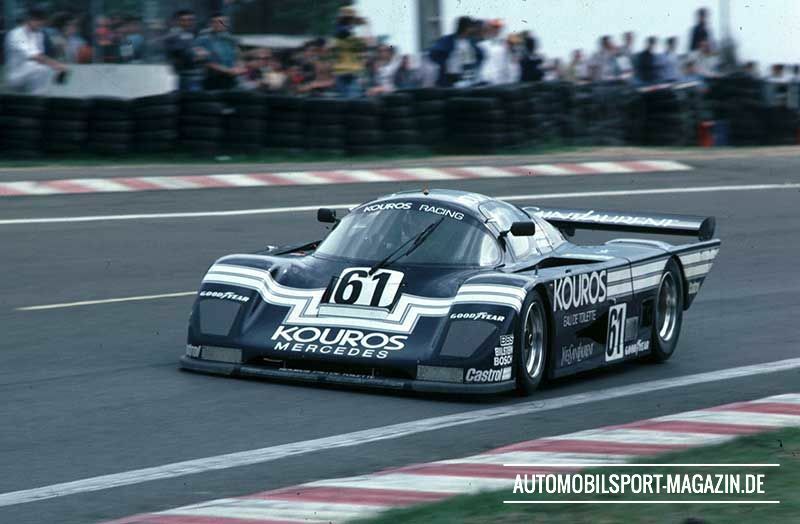 In an exclusive interview, the 71 year-old spoke to AUTOMOBILSPORT about his motorsport beginnings and the years up to Group C and gave us lots of behind-the-scene stories on his successful career as team boss. 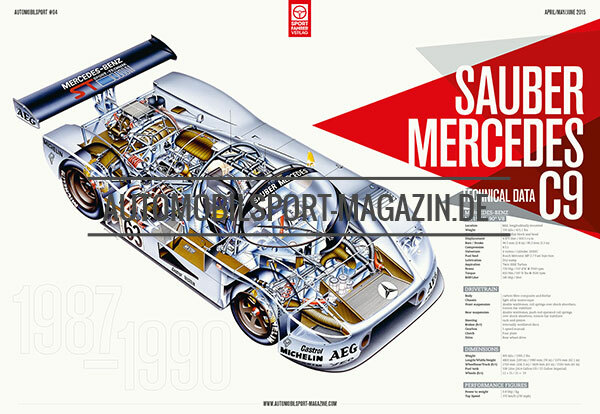 AUTOMOBILSPORT: “Nobody´s perfect”, were the words emblazoned on a Porsche racing poster after the big Stuttgart success in Le Mans 1983. The reason was the ninth place overall achieved by your car – your Sauber C7 was the only non-Porsche among the first eleven cars. 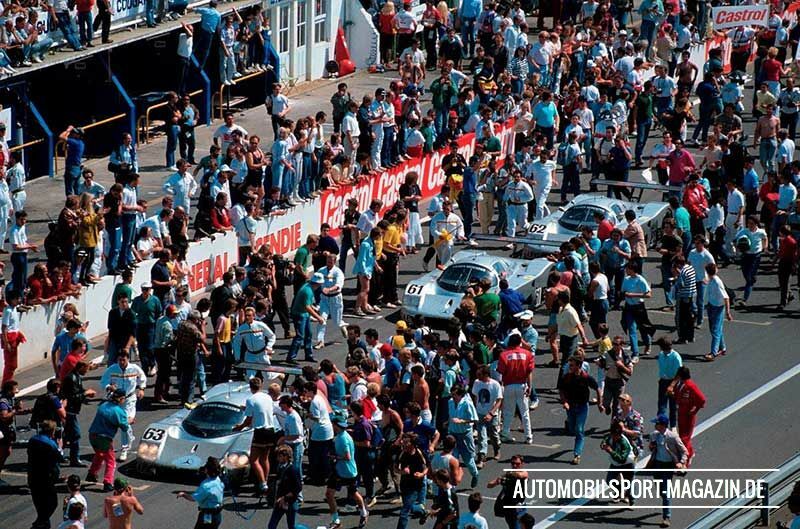 Was that the first big Le Mans success for your team and the start of special success story in Group C? 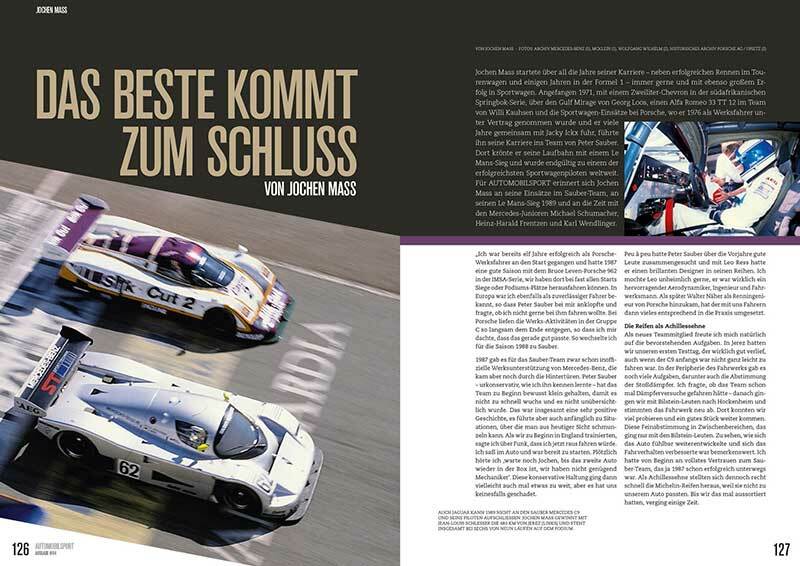 Peter Sauber: It was a certainly a wonderful success. Especially when you think about the circumstances (laughs). The C7 was actually a really good car. The C7 had an aluminium monocoque chassis with a BMW six-cylinder engine. I first knew this engine from the Procar Series, where I entered a car in 1980 with Marc Surer and another M1 owned by Walter Nussbaumer, a Swiss privateer. We also subsequently entered an M1 as a Group 5 special touring car, two of which came from us. So we already had some experience with this six-cylinder engine, knew the problems, too – and we, of course, had far too little power. BMW Motorsport veteran Rudi Gmeiner brought me three customers – I’ll never forget it (laughs) – two Cubans and a Columbian. 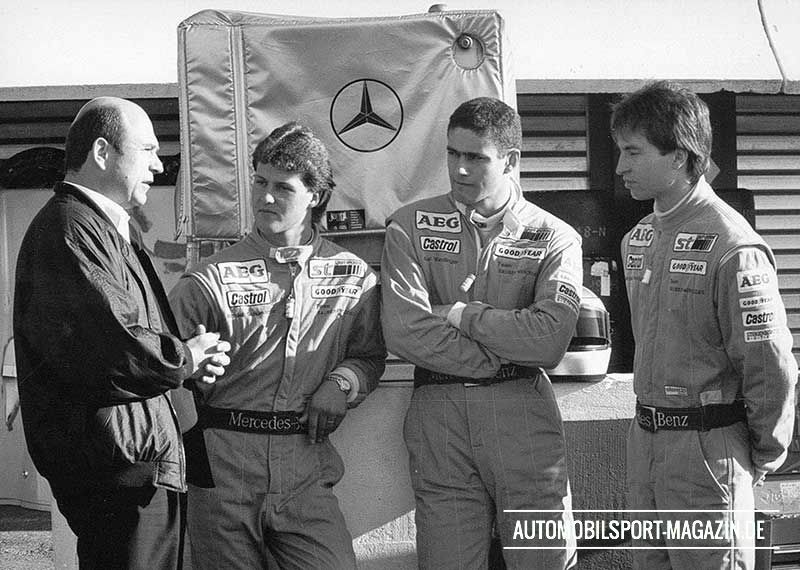 Toni Garcia, Albert Naon and Diego Montoya — an uncle of Juan Pablo Montoya – all three of them were good guys. They were a little bit long in the tooth and had never even been close to our cars, never mind driven it. I saw our drivers for the first time at the scrutineering in Le Mans, they suddenly just appeared – you have to picture it. 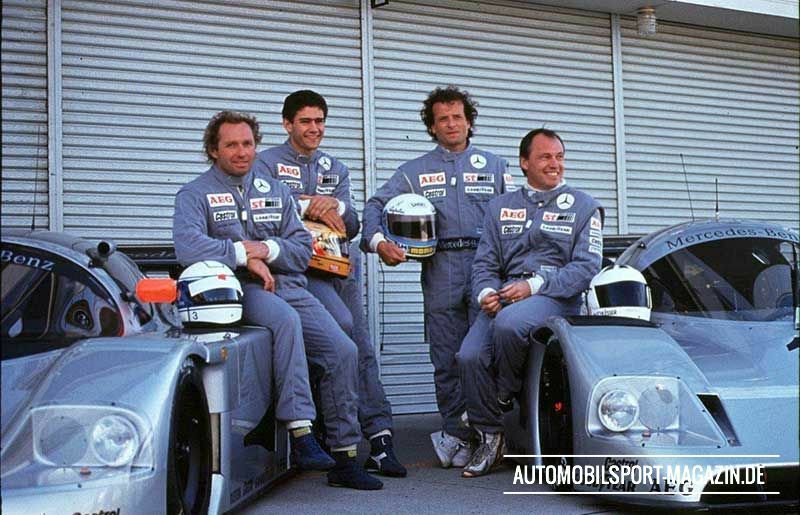 If you had seen them – they could have fitted in anywhere, but certainly not at a race in Le Mans. Our main concern was the vibration damper in the BMW M1 engine. On the long straights, the driver was meant to lift off the gas twice. Paul Rosche was very specific about this. The he said “Forget that, the engine will never make it.” And yet, our engine made it. 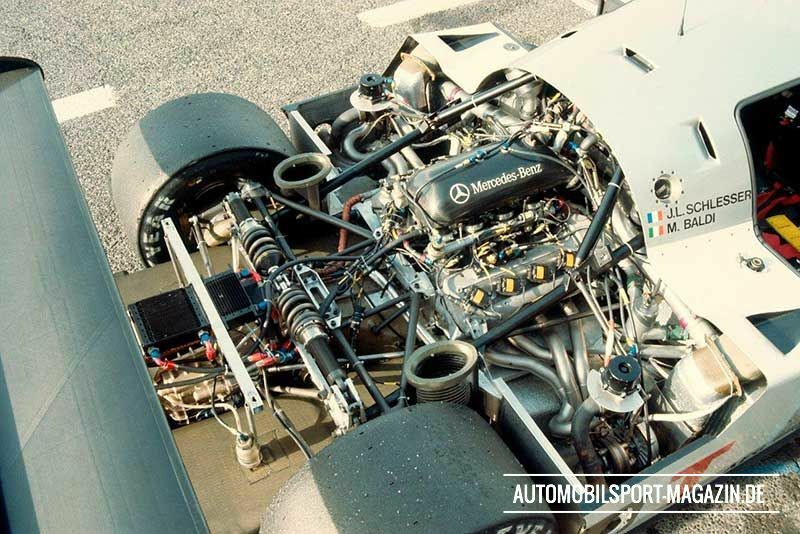 If the Porsche 956 didn’t quite simply have a better engine, we would certainly have managed to get further up the field. AUTOMOBILSPORT: And what did this result mean to you personally? Motorsport plays a big role today in helping develop new technologies regarding fuel economy, particularly through LMP1 racing. 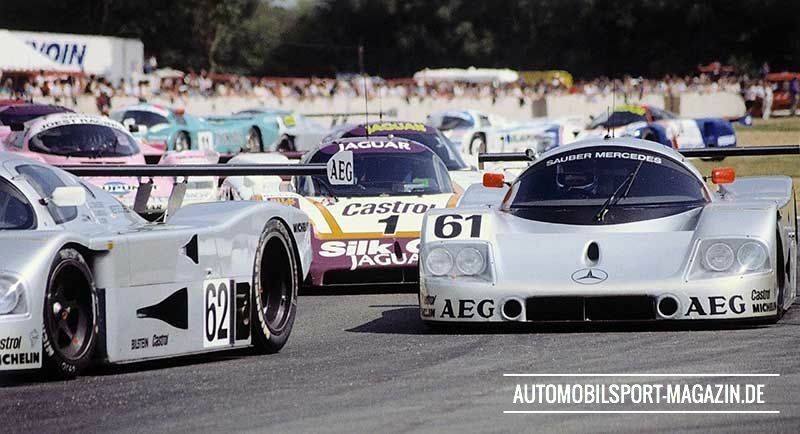 And it was much the same at the end of the 1980s, with the big sportscar races playing that same role – especially on the big stage at Le Mans. 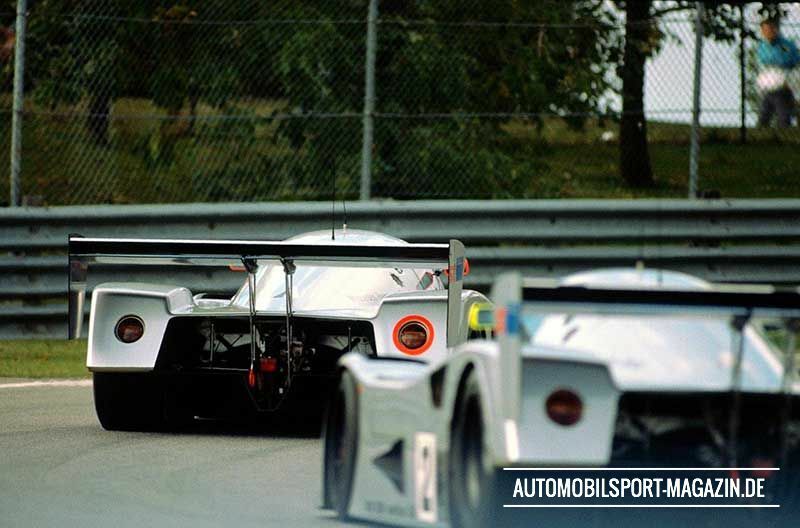 Some legendary drivers graced Group C during its 11-year existence. Often the stars came from Formula 1, but there was also plenty of young talent, such as the unforgettable Stefan Bellof. 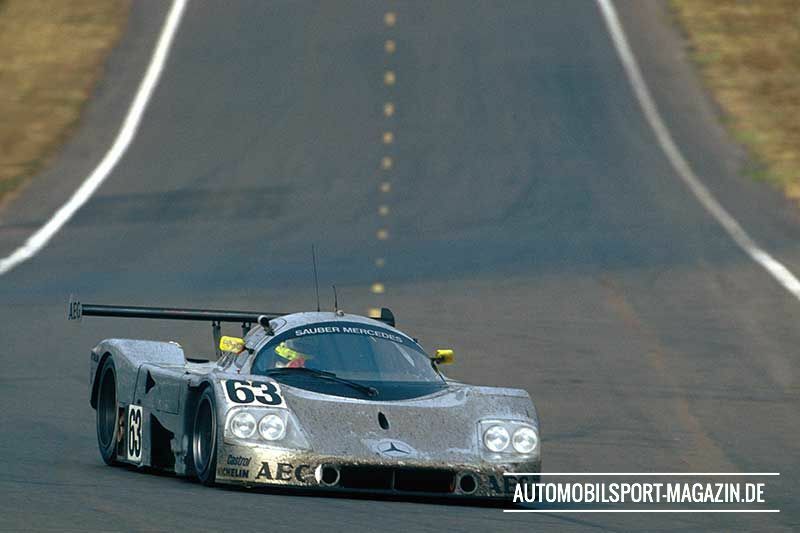 By 1990/91 it was clear that Group C was going to be shaken up more and more often by young drivers. 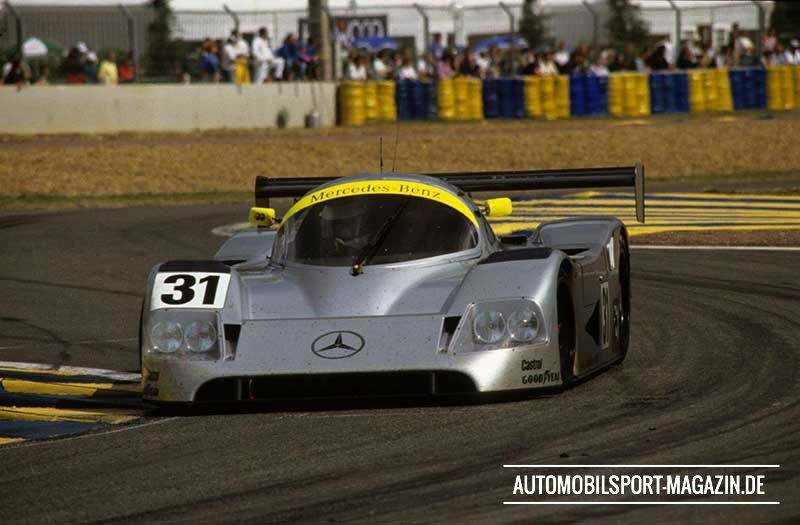 And that brings us to the Mercedes Junior Team, an idea that came from Jochen Neerpasch and his positive experience with BMW juniors Surer, Cheever and Winkelhock. 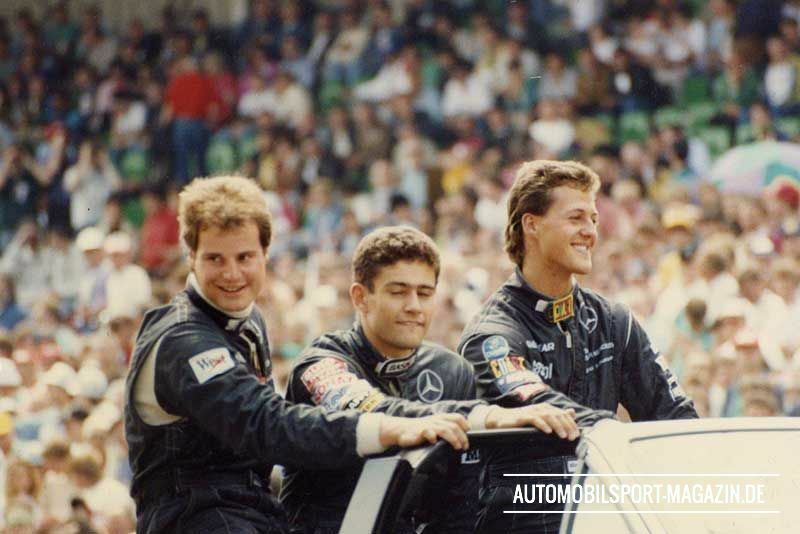 At the end of 1989 it was revived for Group C.
Karl Wendlinger, Heinz-Harald Frentzen and Michael Schumacher dominated the German Formula 3 Championship in 1989. 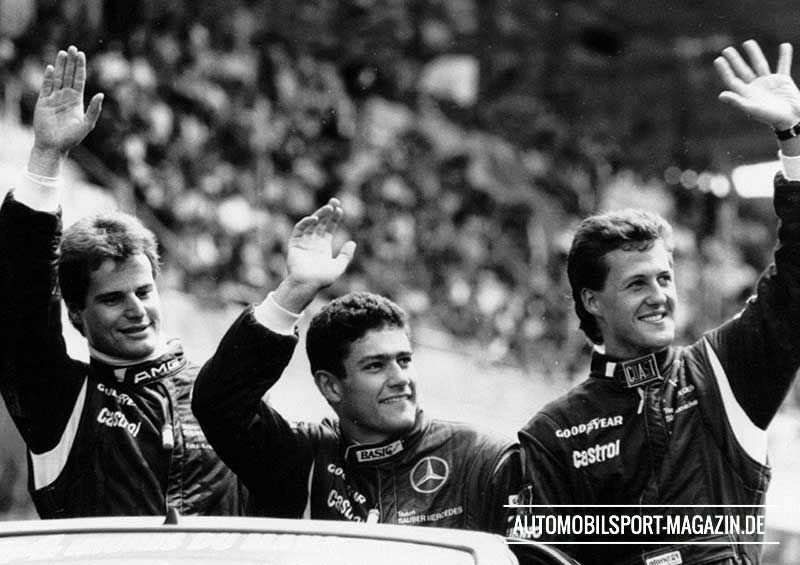 Wendlinger won the title, despite being locked on points with Frentzen, while Schumacher was just one point back. 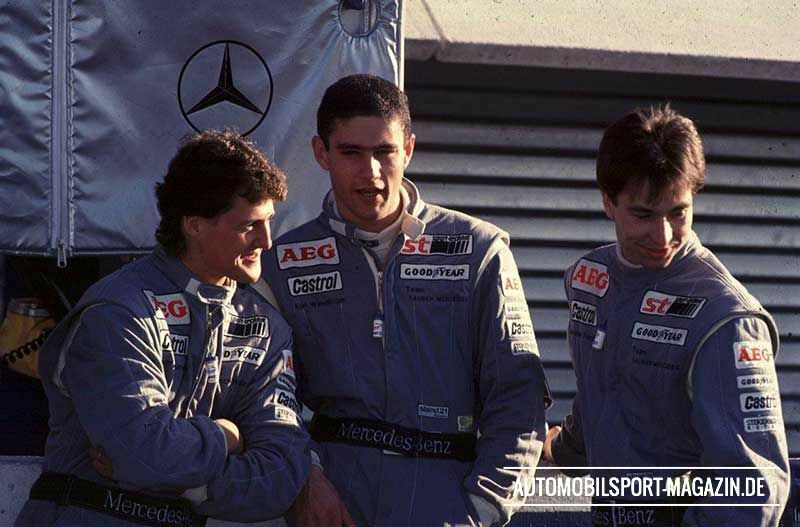 All three had been successful in the single-seaters with comparable performance, and were now part of the newly-formed Junior Team, also known as the L-Team, with the very quick Sauber Mercedes C9. 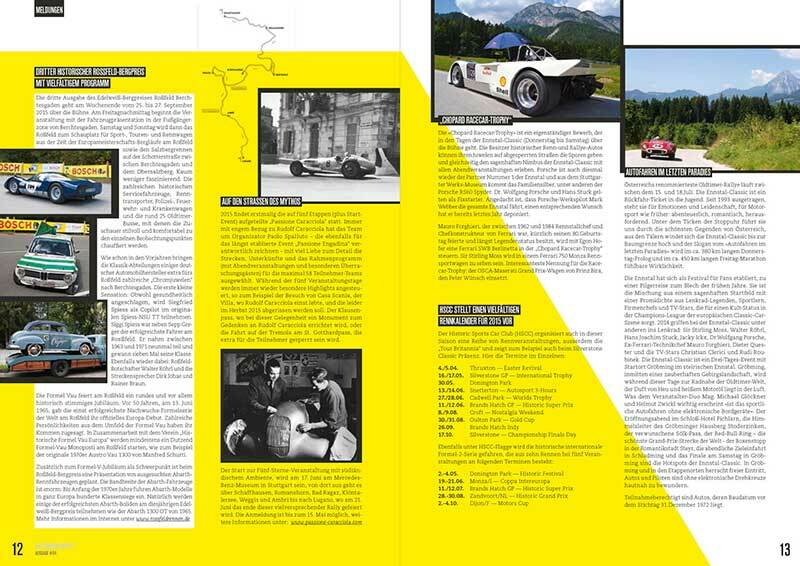 That was about the same time that I started to get a foothold on the Swiss town of Hinwil, where Sauber is based. Here is a little bit of history: On July 22 I was on my back from a windtunnel test with the March Porsche Indycar in Southampton in England. I decided to pay a visit to Brands Hatch, where there was a Group C race going on. It was Saturday afternoon, and as luck would have it I bumped straight into Peter Sauber. 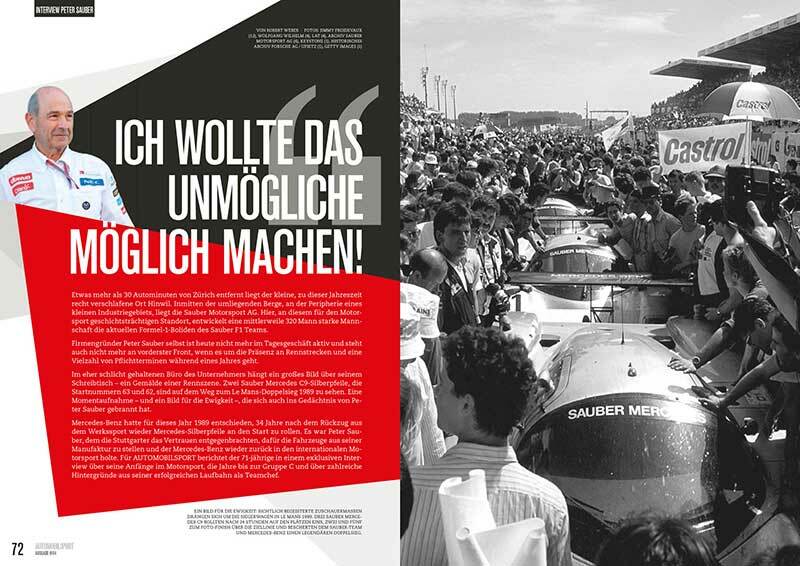 “Näher, what are you doing with these slugs” – he meant open-wheelers – “come to us, we build real racing cars.” In short, by the end of the year I was in a small charter plane flying from Zürich to Le Castellet in the south of France, with the other members of the Junior Team and a young man named Michael Schumacher. The Paul Ricard circuit is near Le Castellet, and that's where preparations for the test had already started. 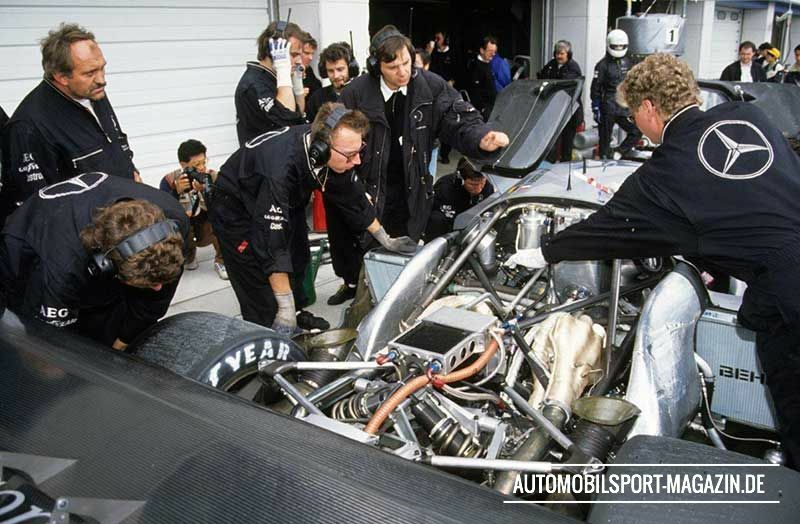 We met the rest of the team members, like Karl Wendlinger and Heinz-Harald Frentzen, and Peter Sauber and Jochen Neerpasch explained what the background of the 'Project L-Team' (L for Learner) was, and what the philosophy behind it was. 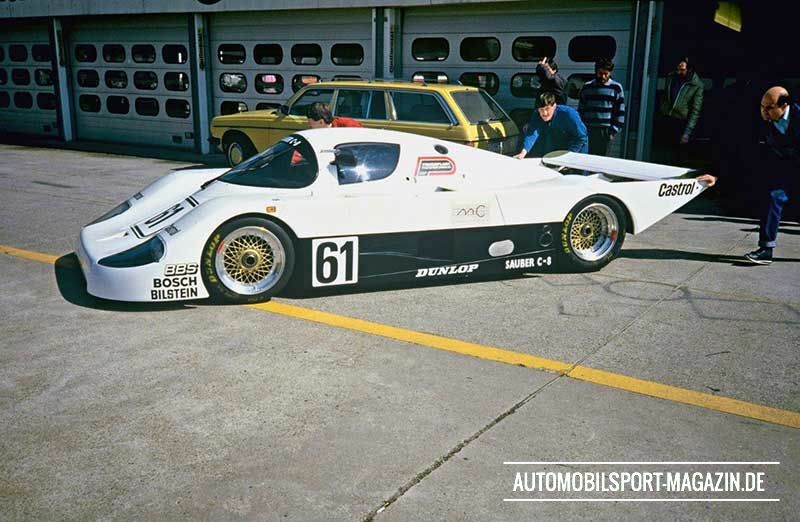 The idea alone to put 20-year-olds in such a fast racing car was one of courage and confidence – and for me it was an ideal time to join the Group C team from Hinwil. For one, the new C11-00 Prototype was in it's early stages of development, and secondly I was able to work with the three juniors. Make yourself comfortable in what is an unfamiliar car. Stay on the track, don't push too hard, spins are not allowed. Do as many laps as you like. Just come into the pits when you can't concentrate anymore or if you feel tired. At first there will be no lap-times. 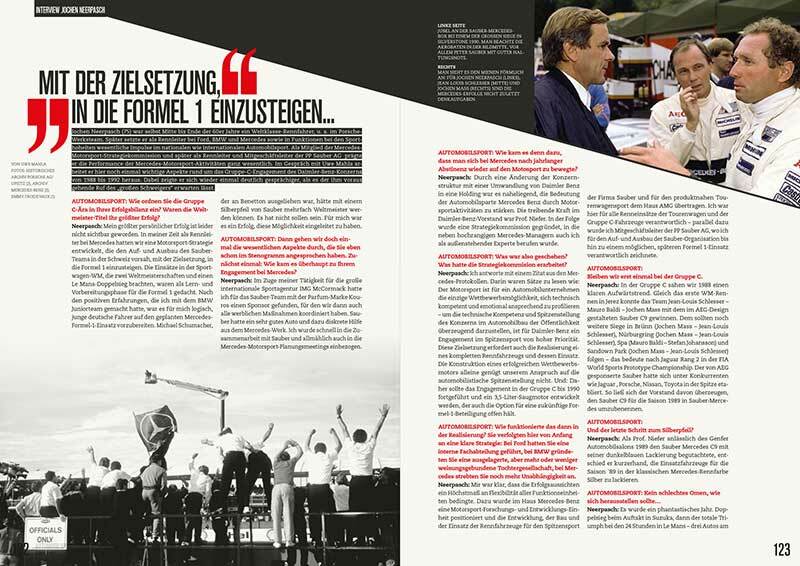 To younger readers, Peter Sauber’s team in Hinwil is exclusively involved in Formula One racing, but it was not always so. 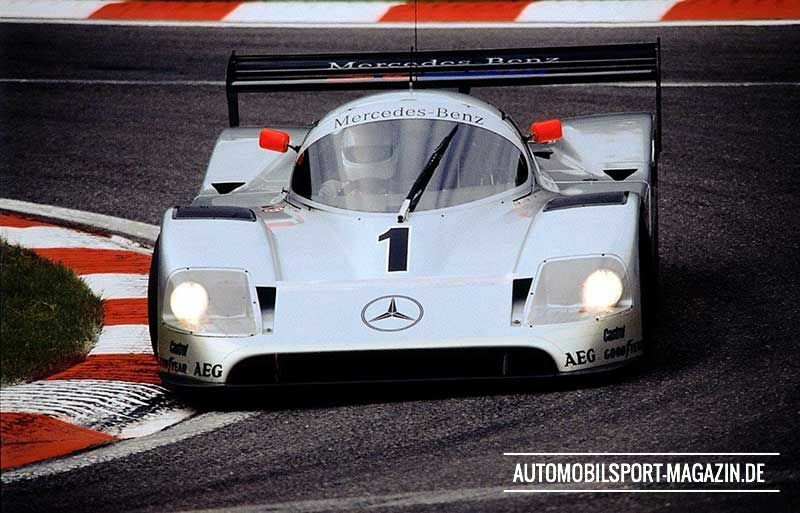 Almost a quarter of a century has passed since he was last involved in Group C sports car racing, his cars powered by BMW and Mercedes engines. 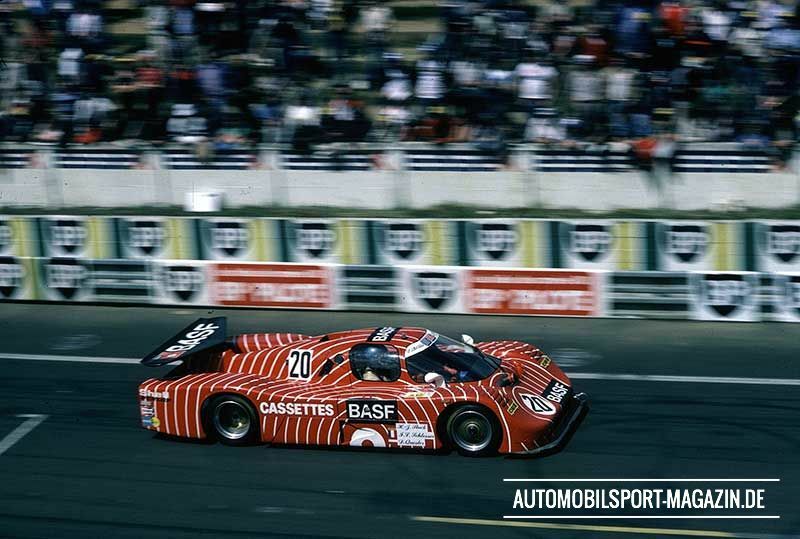 Endurance racing was Peter Sauber’s passion, he took on Porsche, Lancia and Jaguar in their prime, and beat them, and successes included victory at Le Mans in 1989. 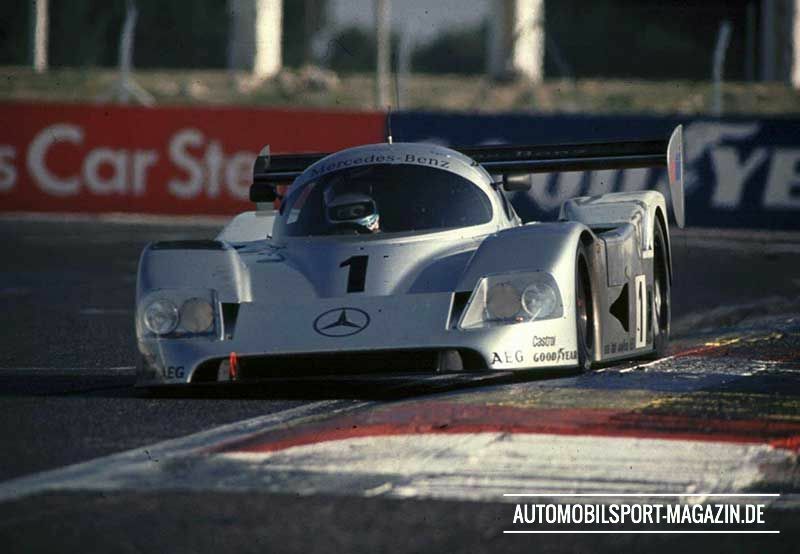 His last sports car race, with Mercedes, in 1991 also resulted in victory, surprising but highly deserved. 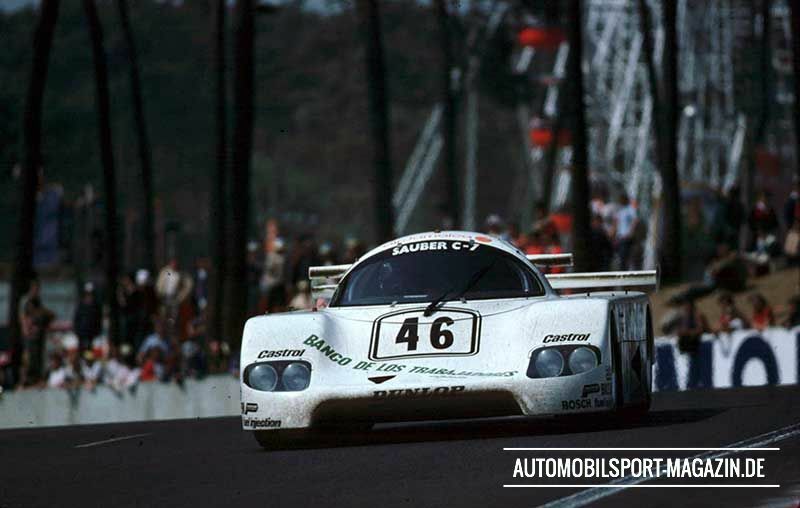 Sauber began building sports cars in the 1970s, usually in the 2-litre category, competing in hillclimb championship events, but he became widely noted for building a special version of the BMW M1 sports car in 1981. 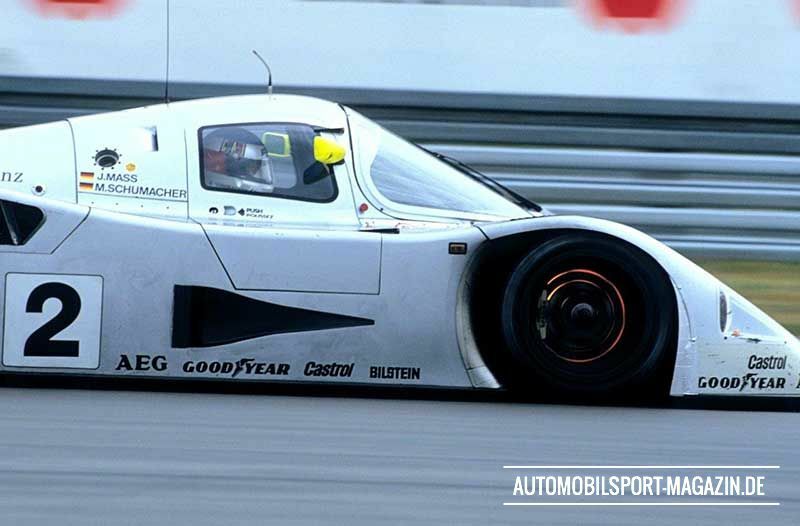 It had a tubular chassis constructed by a neighbouring company, Seger & Hoffmann, and carbon-fibre bodywork, and was 70 kg lighter than the standard M1. 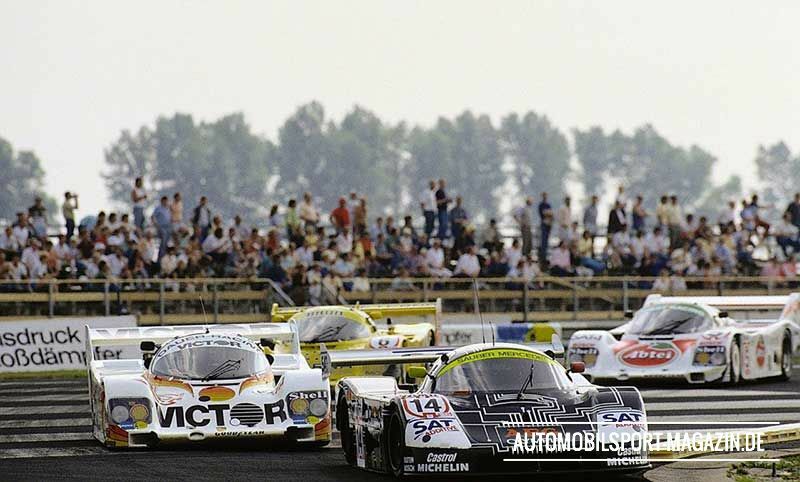 Hans-Joachim Stuck and Nelson Piquet won the ADAC’s 1,000 kilometre race at the Nürburgring on the debut outing, and straight away Dieter Quester ordered another which he raced at Le Mans with Marc Surer. The car was entered by Würth-Lubrifilm Team Sauber, and it ran well until the engine failed on Sunday morning. Engine failures also stopped the three other BMW M1s, so it was no disgrace for the Swiss team. 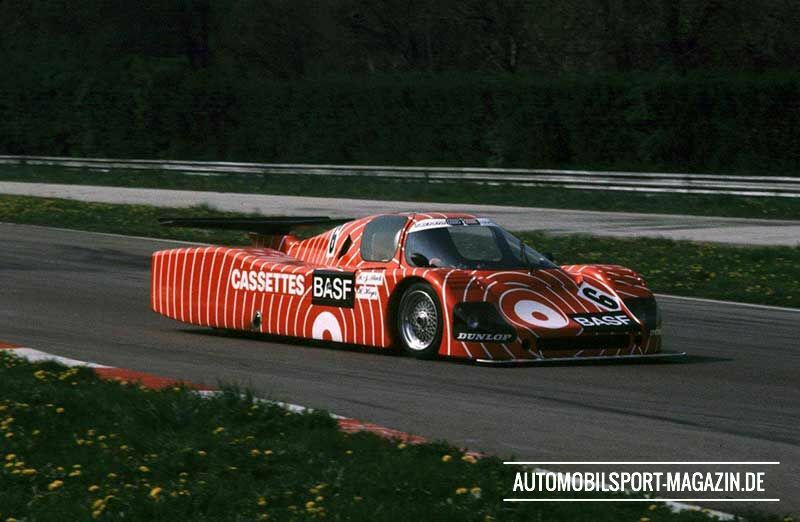 Sauber formed a consortium to prepare a Swiss challenger for the Group C formula, which started in 1982. 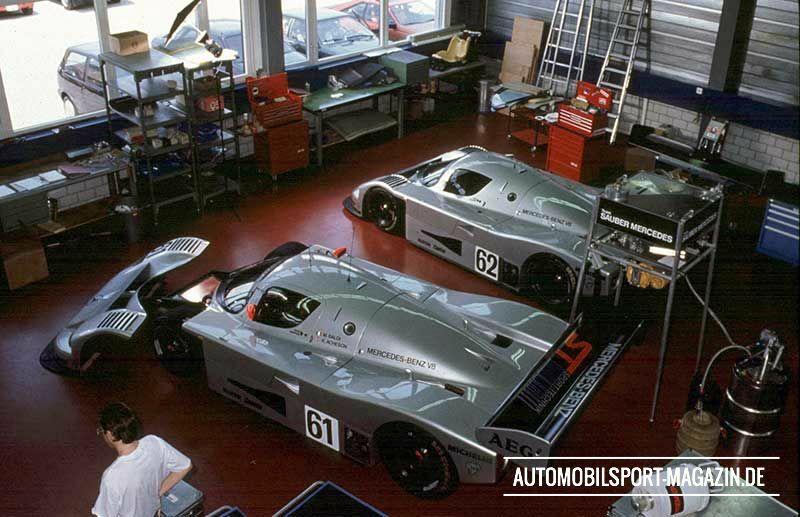 Sauber himself designed the C6 model which had a sheet aluminium chassis, and it was constructed by Seger & Hoffmann. Heini Mader was made responsible for preparing the Ford Cosworth 3.9 litre DFL engines and two cars were run in the full World Endurance Championship, one run by GS Tuning for Hans Stuck and Hans Heyer, the other bought by slot machine magnate Walter Brun and run by Sauber, as his ‘works’ car, for Brun and Sigi Müller Jr. 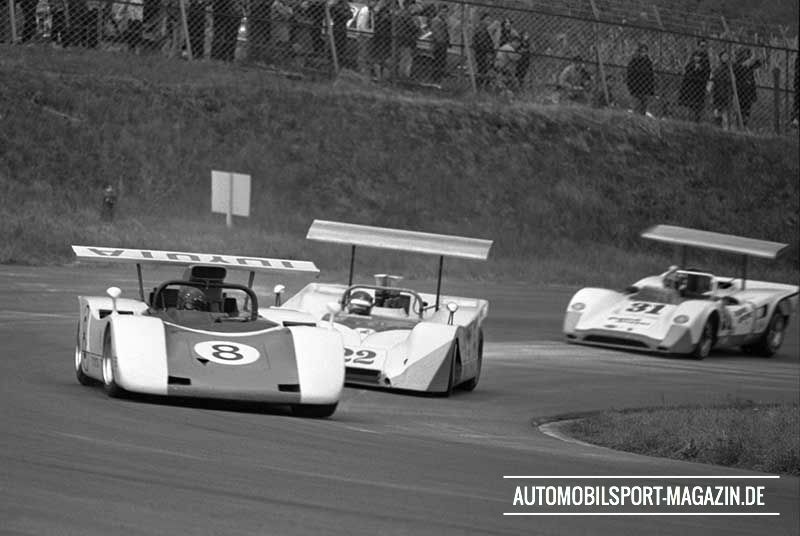 Both cars raced at the first event at Monza, looking striking with single-pillar, delta shaped rear wings. Stuck’s car was sponsored by BASF cassettes and was strongly coloured in red and white pinstripes, while Brun’s car was sponsored by Ford Switzerland. 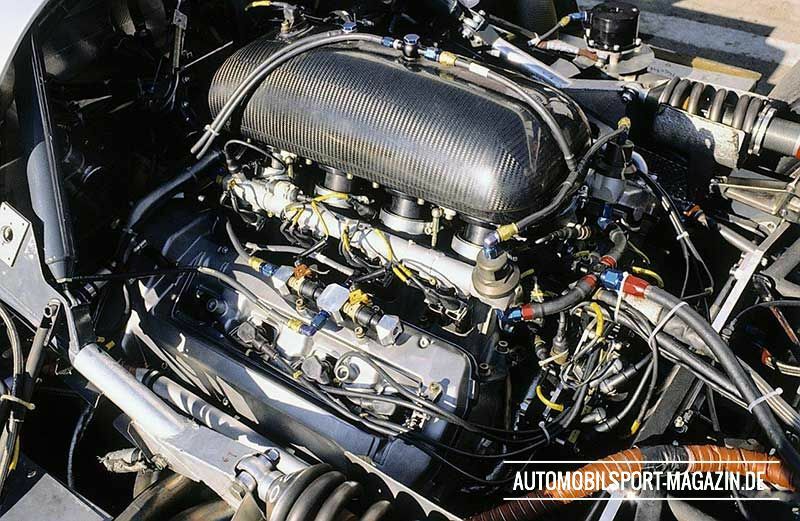 Like many other teams using the Cosworth DFL engines vibrations caused all manner of breakages, and in the first half of the season neither car would finish a race. At Le Mans, Stuck’s Sauber retired on Saturday evening with a broken engine mounting, Brun’s with a failed starter motor. 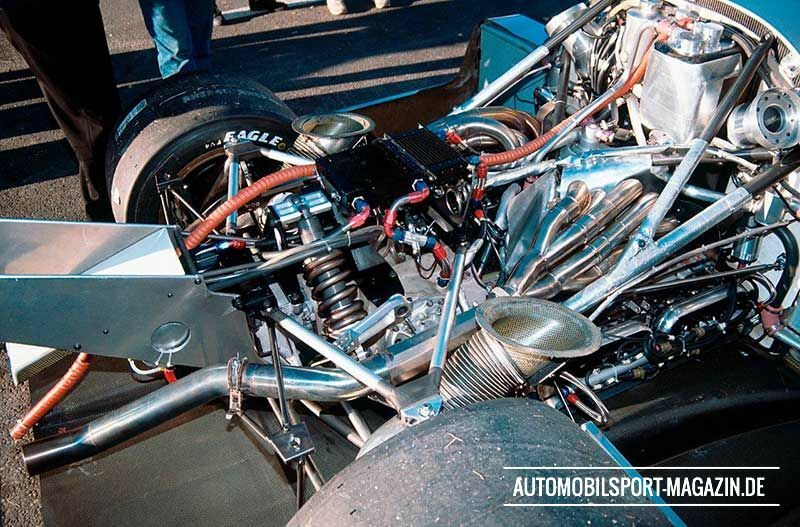 British specialist John Thompson modified the chassis, mounting the engines on a load-bearing subframe, and the BASF car managed to finish at Spa in September, with the smaller 3.3 litre DFL motor. Brun lost patience with the DFL, though, and installed a 1.7 litre turbocharged BMW engine which proved a good choice. He and Müller drove to fifth place at Mugello, and Stuck actually led the race at Brands Hatch, in pouring rain, before the event was stopped for a collision between the two Ford C100s. 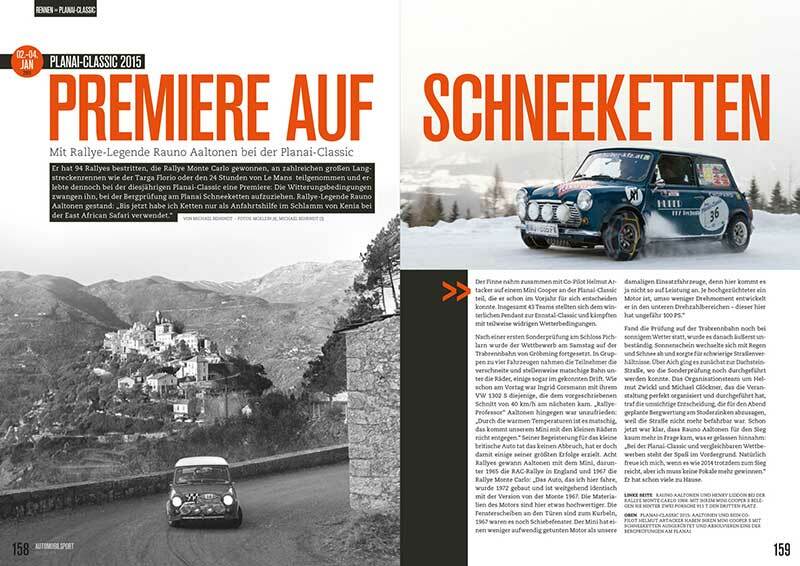 Gerhard Schneider’s GS tuning company folded and Brun bought the assets, so he owned both cars. In 1983 Brun developed the C6 under the Sehcar label, a short-lived venture which exasperated Stuck. In Hinwil, Sauber built the successor C7 model to a similar design, but with bodywork higher between the wheels, and the rear wing was more conventional. Mercedes aerodynamicist Rudiger Faul was responsible for the new body design, and the suspension was designed by BMW engineer Leo Ress. The C7 was designed to take a variety of engines but the only chassis built was powered by BMW’s 3.5 litre straight-six, tuned to 475 bhp in normally aspirated form. The car had a splendid debut at Le Mans, wailing round for the full 24 hours to finish ninth in the hands of IMSA regulars Diego Montoya, Tony Garcia and Albert Naon. 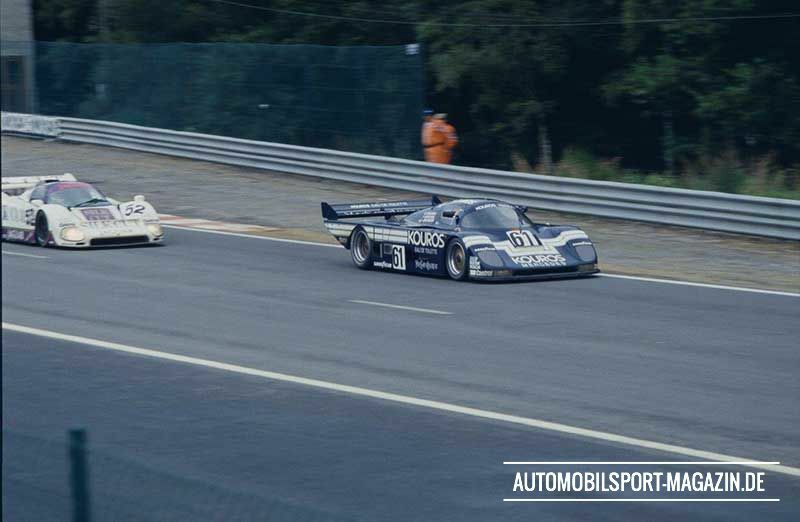 So, they prevented a complete rout of the top 10 by Porsche’s 956 sports car, prompting the Stuttgart firm to advertise their 1-8 and 10 success with the admission “Nobody’s perfect!” Later in the ’83 season Fulvio Ballabio and Max Welti drove to 10th place at Fuji, and in 1984 Naon raced the C7 in the IMSA series, finishing 10th in Miami. 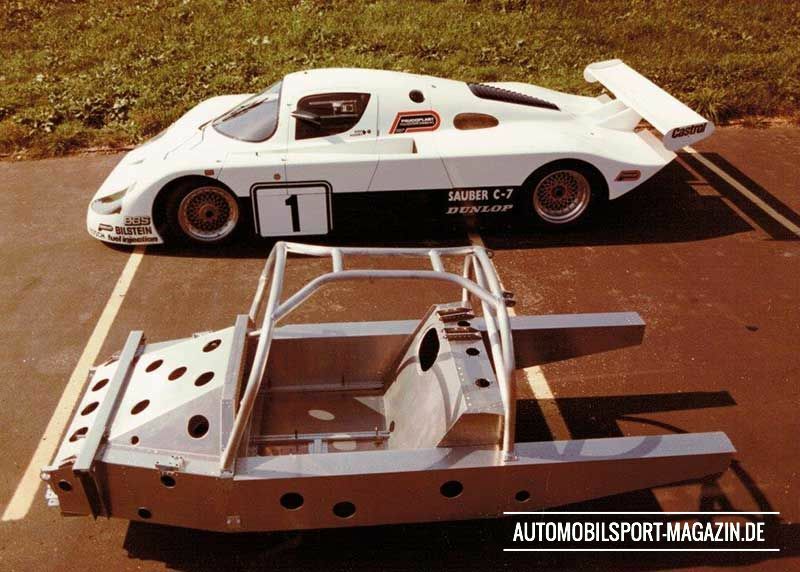 The C7 then passed to the ownership of ‘Fomfor’ who competed at Mosport in 1985 with a Chevrolet V8 in the back. Uli Bieri and Matt Gysler finished in seventh place. 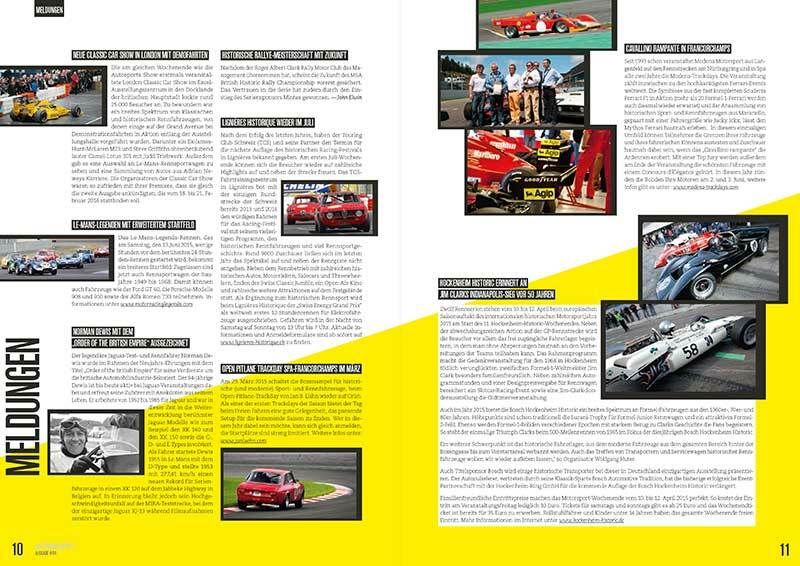 After covering the details about Toyota’s very first steps in sportscar racing in the last issue of AUTOMOBILSPORT, we’ll now take a close look on how things evolved in the second year of the project and beyond. 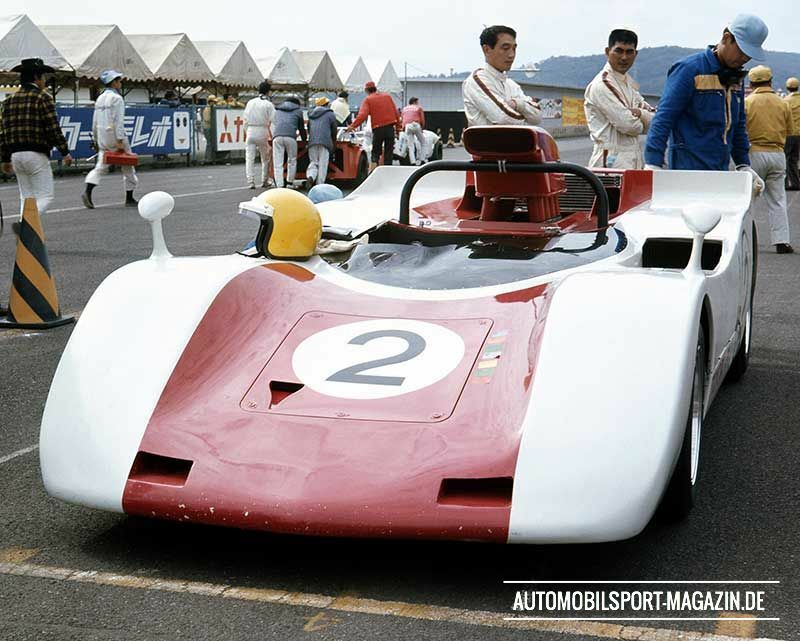 With immense resources, Toyota developed a whole new car for the 1969 Japan GP. But there was much more on the horizon for the ambitious Japanese manufacturer. 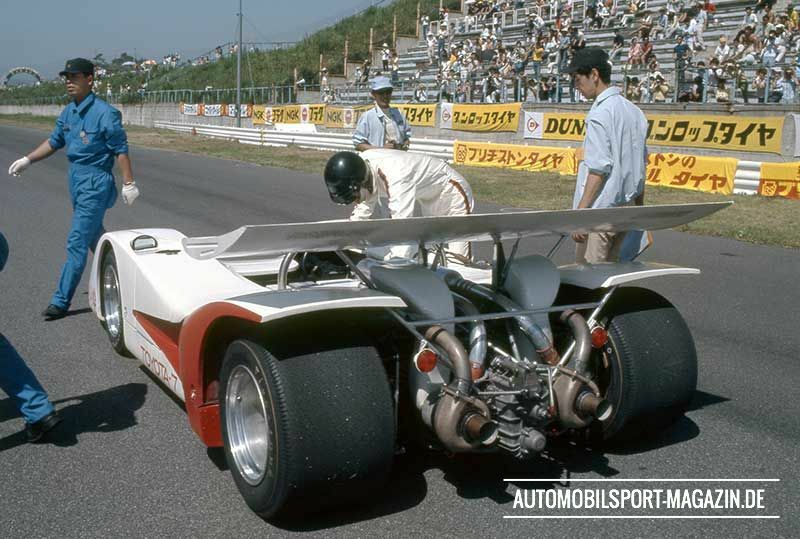 By 1970, Toyota had finished work on a monstrous turbo-charged Group 7 car - a full two years before Porsche would have their dominating 917/10 Turbo up and running. 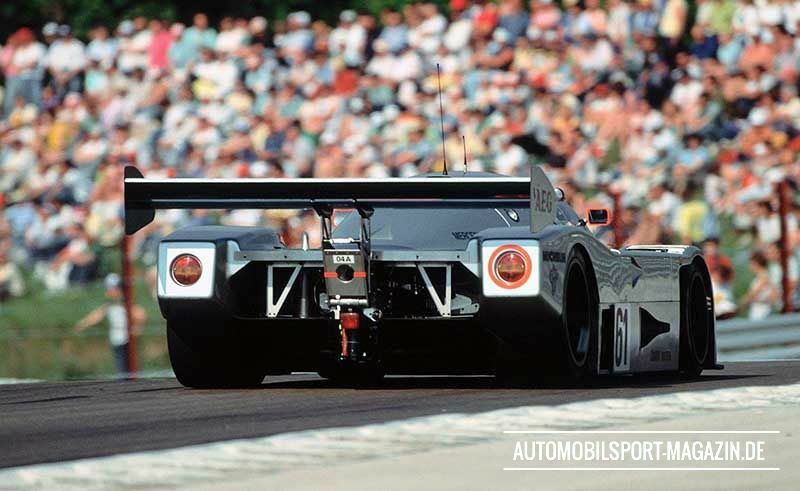 Unfortunately the gorgeous Toyota Bi-turbo, that was meant to compete in the Can-Am series, never raced. Read part 2 of the story behind Toyota’s sportscar, which in its final specification was way ahead of its time, and how it tragically came to an early end. 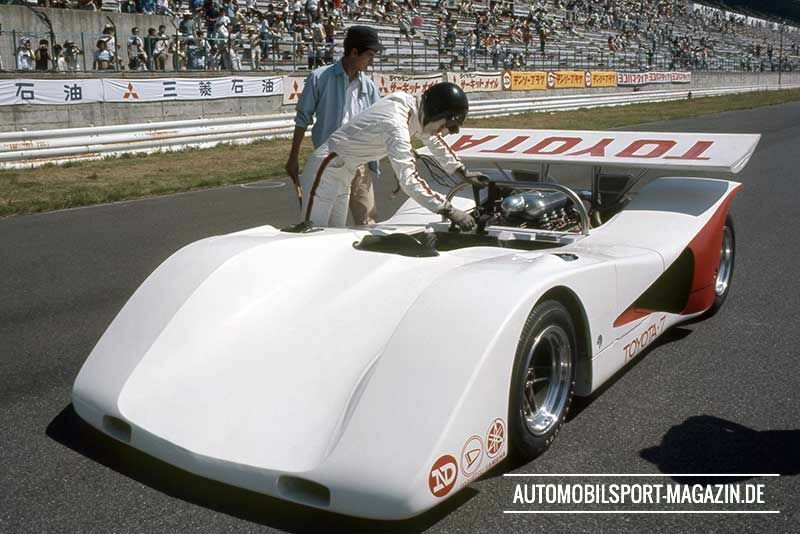 While the close links and the cooperation with Yamaha remained for the second year of the sportscar program, Toyota officially opened its own engineering department solely for racing activities on the 1st of February 1969. Soon a staff of about 60 people was working there exclusively on the Toyota racing chassis and drivetrain development. 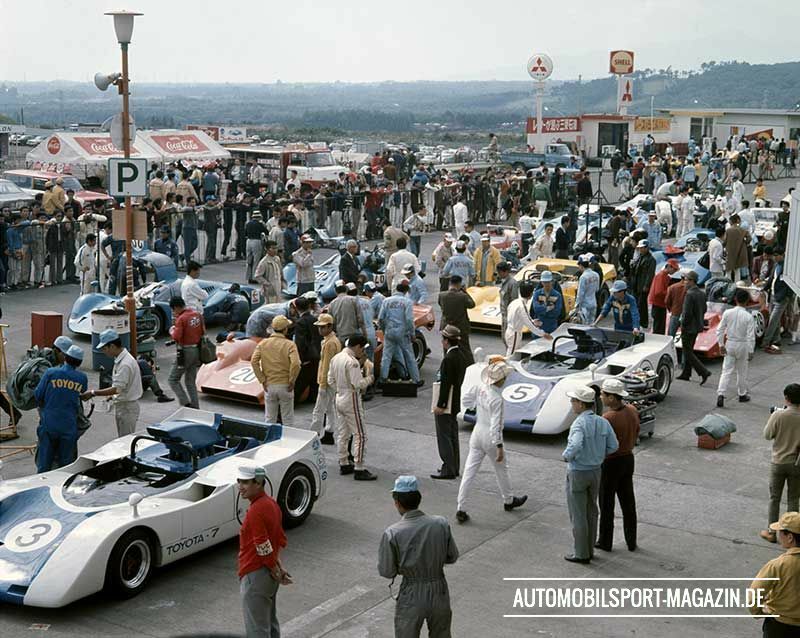 With the further 50 Yamaha engineers and mechanics that were involved, this added up to a very impressive three-figure manpower behind the 1969 Toyota 7. Yamaha had one more significant contribution to the project as it was opening its own 5.8 km Fukuroi test track early in 1969. In a close resemblance to Suzuka, Fukuroi’s circuit layout was shaped in a figure of 8 and it would be available for testing of the Toyota 7 whenever required. This was be a big step ahead in regard of track-testing time as before the team mainly had to use one of its road car-proving grounds in Higashifuji or Toyota City. Neither of them was suited for testing a high-speed race car and therefore Toyota had to book the busy Suzuka or Fuji tracks which were only available for a limited number of testing days. Unfortunately Yamaha’s new Fukuroi circuit also became the scene for tragic headlines just days after its opening. Toyota’s star works driver Yukio Fukuzawa was testing the Toyota 400S, a prototype Group 4 coupé test car based on the 2000GT, in Fukuroi on the 12th of February 1969 when he went off the track at high speed. After a hard impact the 400S cached fire and Yukio Fukuzawa died immediately. The accident and tragic loss of Fukuzawa would mean the end for the Toyota 400S, which was started as a secret side project to the Toyota 7 program. The smaller 400S prototype coupé was a test-bed with the target to gain experience with a car that had a closed cockpit and long-tail bodywork. Toyota had contracted American Pete Brock, designer of the Daytona Cobra Coupé, to work out the bodywork-shape and aerodynamics of the 400S according to the CSI’s Group 4 rules. The car’s silhouette had many similarities to the Porsche 907 long-tail coupé and with the condition that testing and development with the 400S during 1969 would go well, Toyota had actually planned to take part in European endurance events in the future. 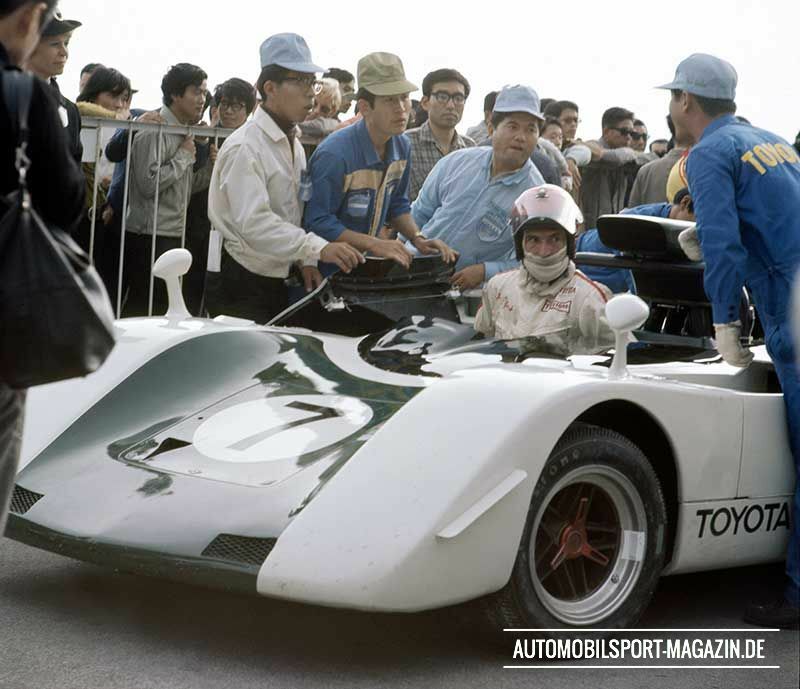 With the 400S stopped, the team concentrated on the Toyota 7 program and its own domestic sportscar events for the rest of 1969. The highlight meeting of the year, the Japanese Grand Prix for sportscars, was moved from its traditional May date to a later October one to help attract international entries from overseas. 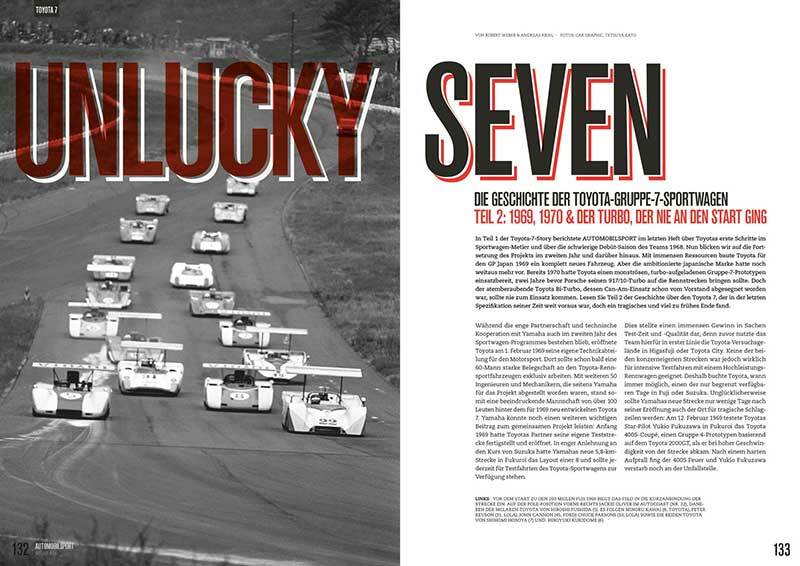 This would give Toyota more time to develop and test the all-new 1969 Toyota 7, known as type 474S. 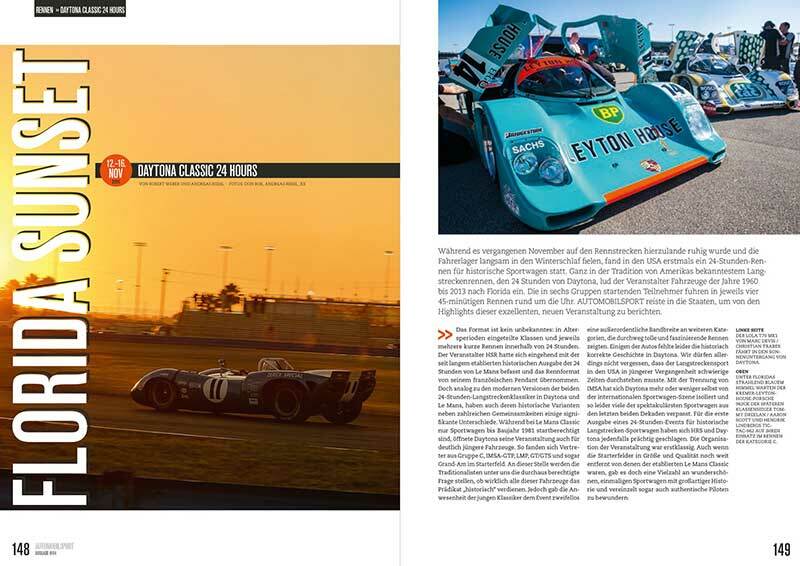 However, before the 474S would be ready, the team took its 1968 chassis, the type 415S, to compete in the first three events of the new season. Arch-rival Nissan, who beat Toyota so devastatingly at the previous year’s GP, would not enter rounds 1 and 2 at Suzuka and neither round 3 at Fuji. 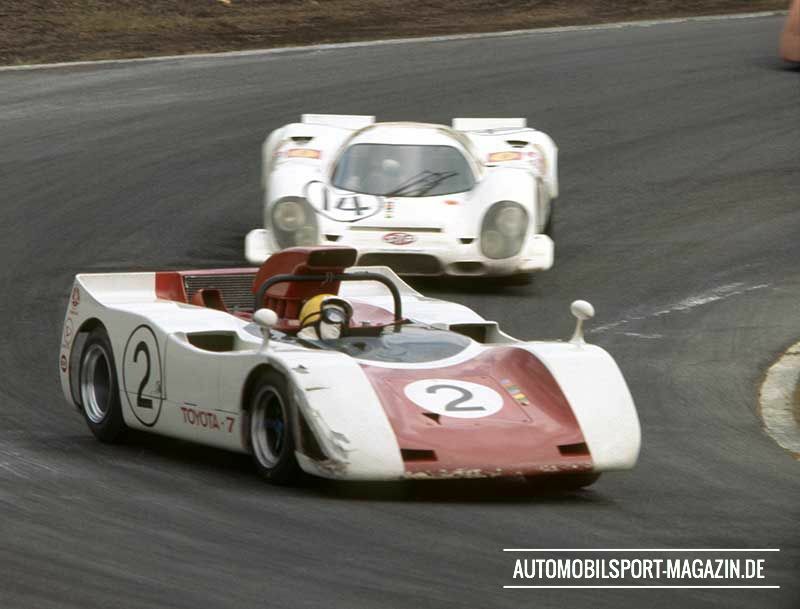 So in a repeat of the races in late ‘68, the Toyota 7s were mainly up against the private Lola T70-Chevy from Taki Racing. As the quick but fragile Lola retired each time, Toyota was able to give its trusted 415S a successful swansong, winning all three races. 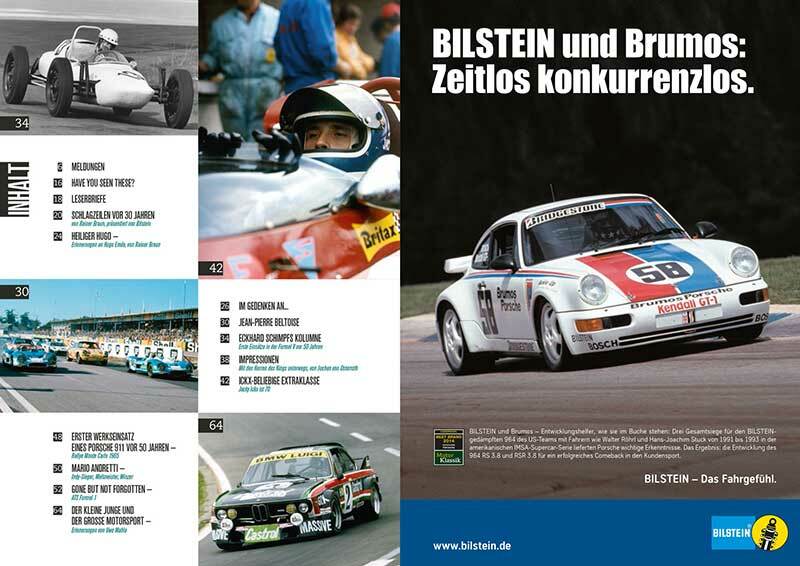 Thirty years ago, over the winter of 1984/85, the team that once was the only German bastion at the pinnacle of motor racing closed its doors. After eight Grand Prix seasons, hardly anyone in the paddock shed a tear over the disappearance of ATS. The history books show 89 GP starts and a mere 7 World Championship points for Günter Schmid’s outfit. A poor result if you consider what highly rated personnel the team had. 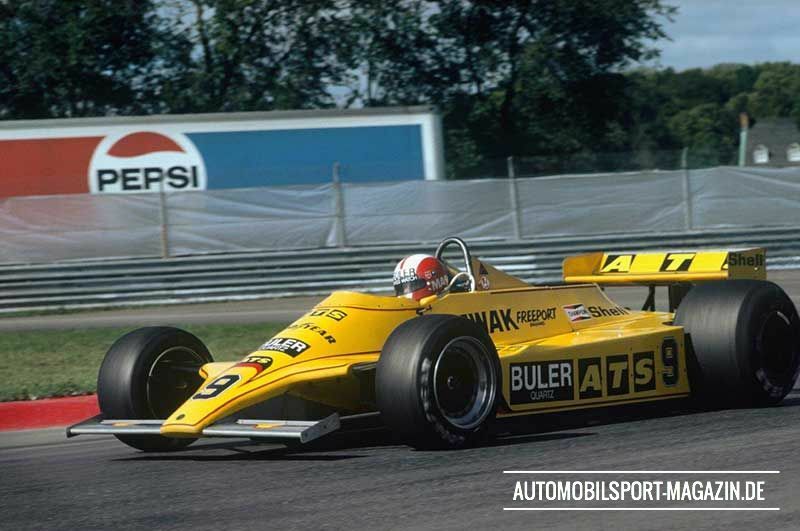 There were several very talented drivers with the likes of Keke Rosberg, Gerhard Berger, Jean-Pierre Jarier, Hans-Joachim Stuck and Jochen Mass. 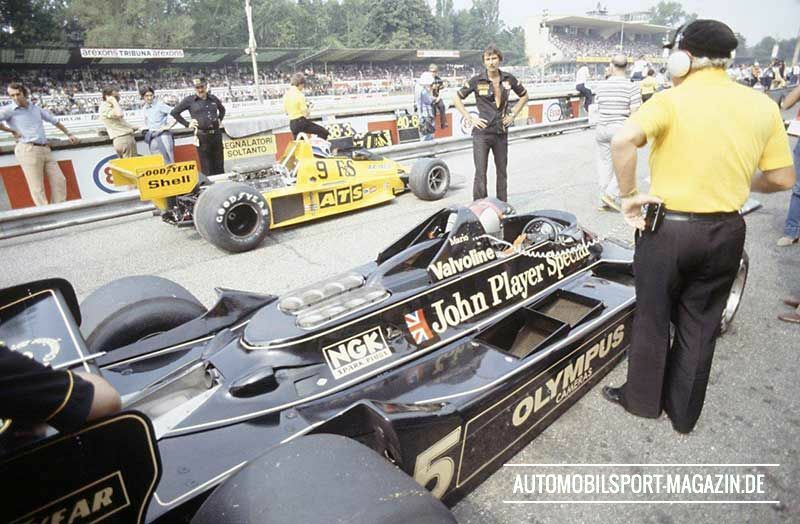 ATS also employed renowned staff with F1 race wins and championships on their CVs: Jo Ramirez, Gustav Brunner, Alastair Caldwell and Max Flückiger. 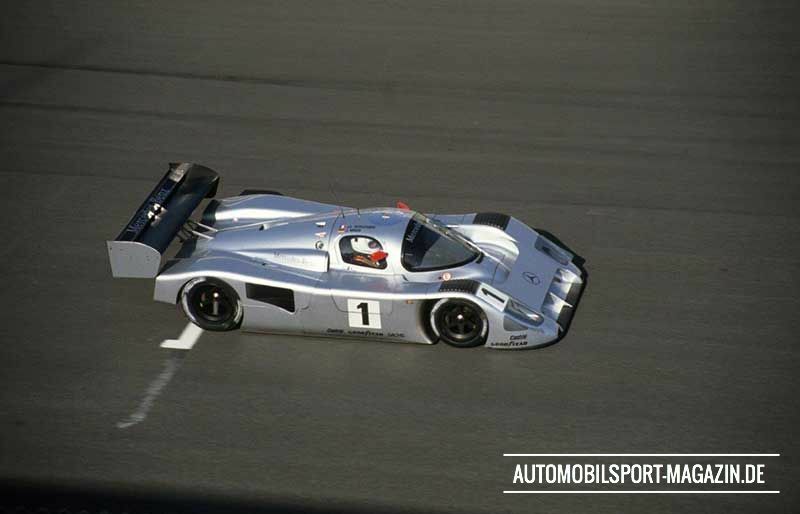 The team even had the most powerful turbo engine from BMW for its final two years. The question thus remains: How come an outfit with such assets failed to deliver results? 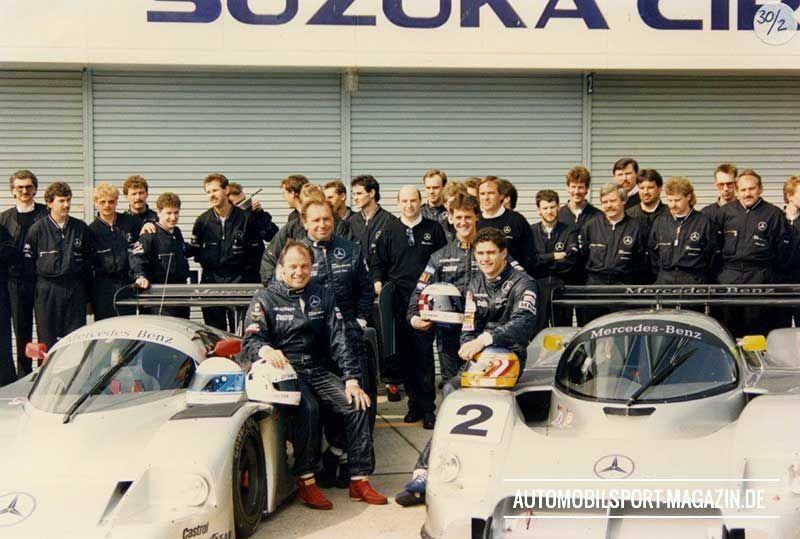 In the first part of our ATS double feature, AUTOMOBILSPORT takes a look back at the early years of the team and speaks to some of the main characters in the story. 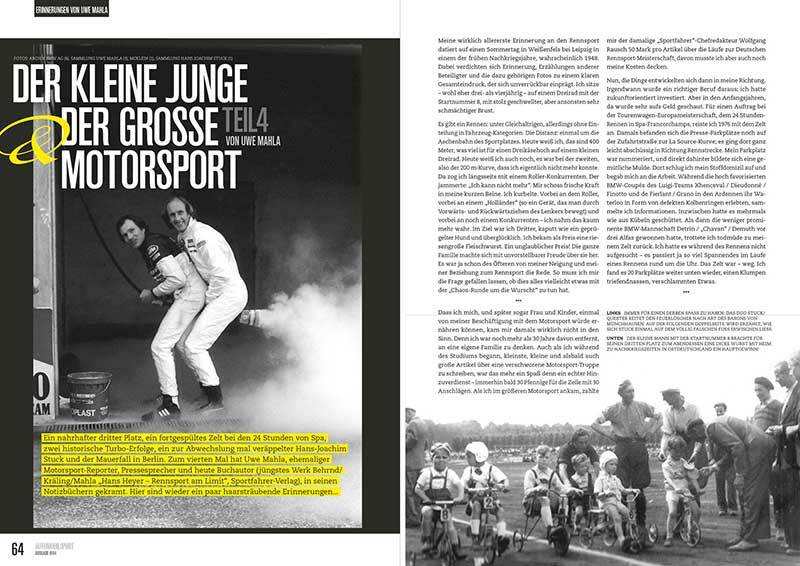 In a stark contrast to the present day, Germany’s status on the map of Formula 1 was far from prominent in the mid-1970s. Porsche, the last German manufacturer to enter Grand Prix racing, retired from F1 at the end of 1962. 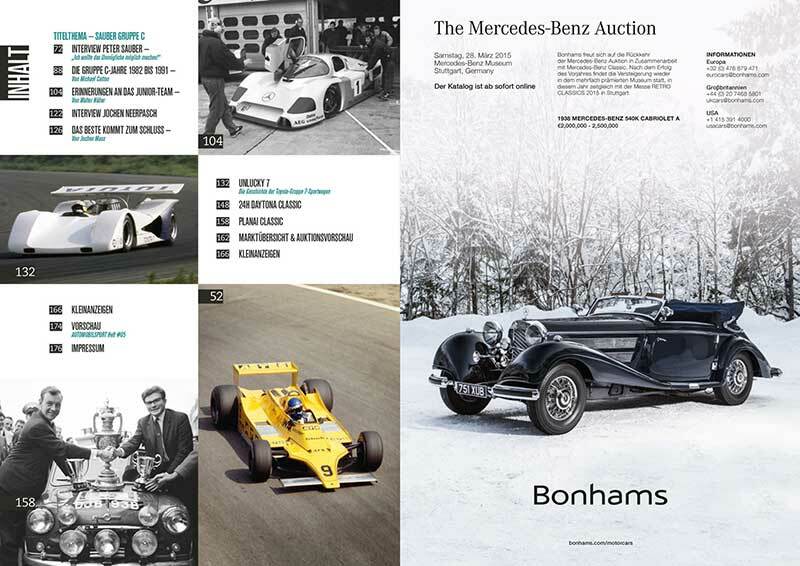 Mercedes was long gone after stopping all its racing activities after the Le Mans tragedy in 1955. 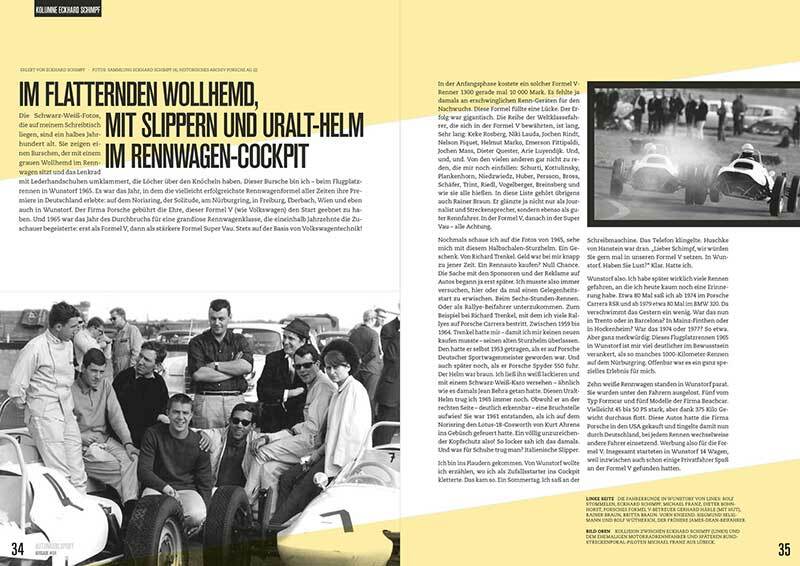 In terms of drivers, Wolfgang Graf Berghe von Trips was the last national hero that was able to give the Germans hope of a championship before his tragic Monza accident in 1961. 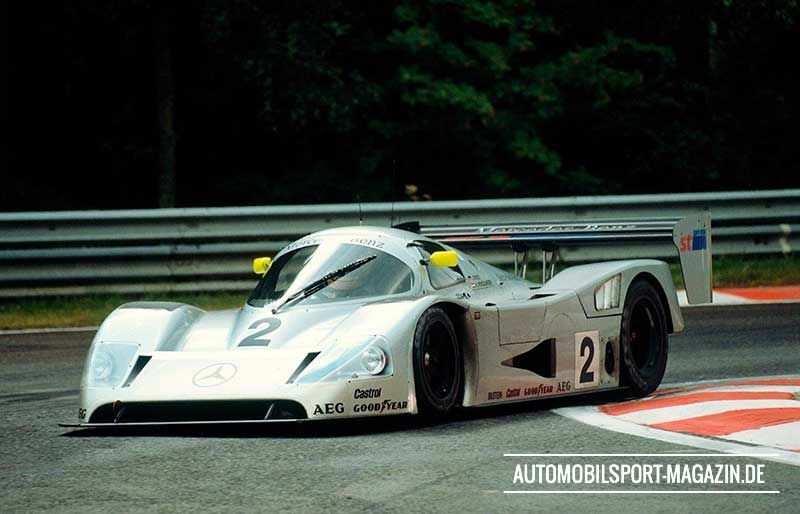 Since then there were the promising talents of Rolf Stommelen, Jochen Mass and Hans-Joachim Stuck, but none of them would be able to turn into a constant front-runner. And a German F1 team? 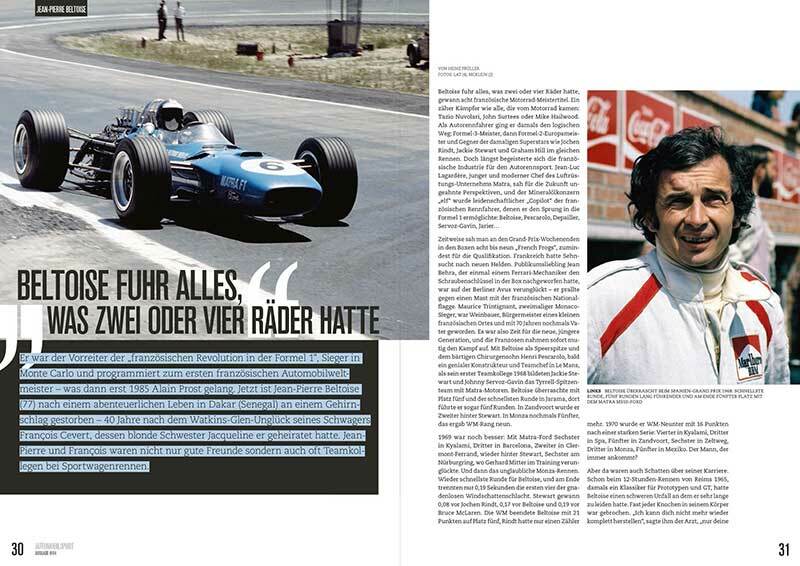 Well, these were times of drought for Formula 1 in the Fatherland. Enter Günter Schmid, the wheel manufacturer from Bad Dürkheim. 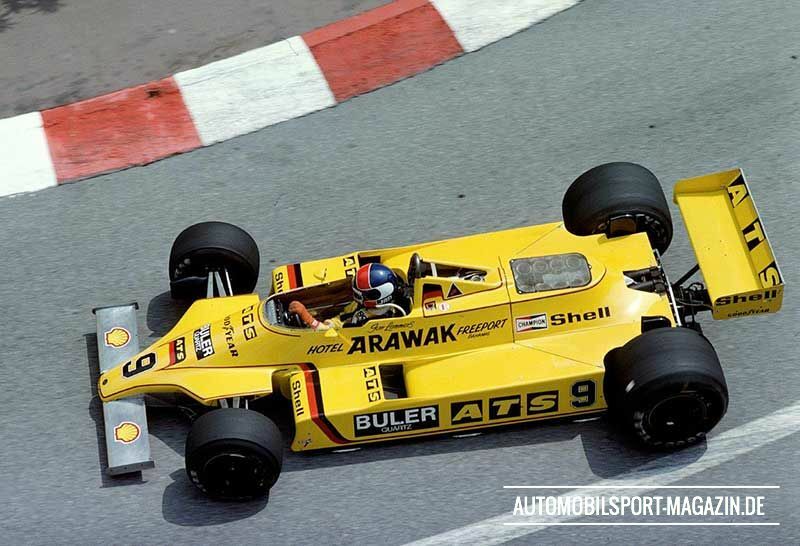 After running a successful outfit in Formula Super Vee and making a disheartening attempt at Formula 2, Schmid and his business partner Erich Stahlschmidt arrived on the Grand Prix stage with their own ATS team to compete in the 1977 F1 season. 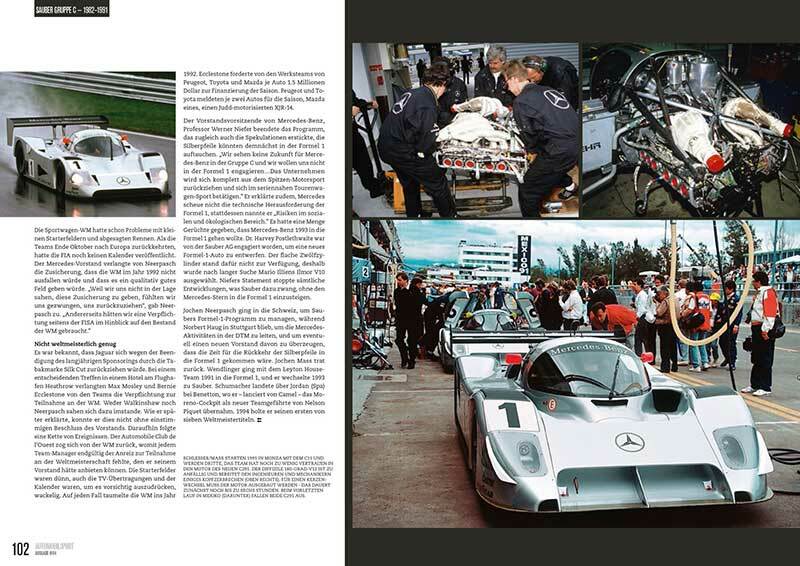 They bought two cars, Ford Cosworth engines and equipment out of the assets of the defunct Penske F1 outfit. Roger Penske had pulled out of Grand Prix racing at the end of the 1976 season. 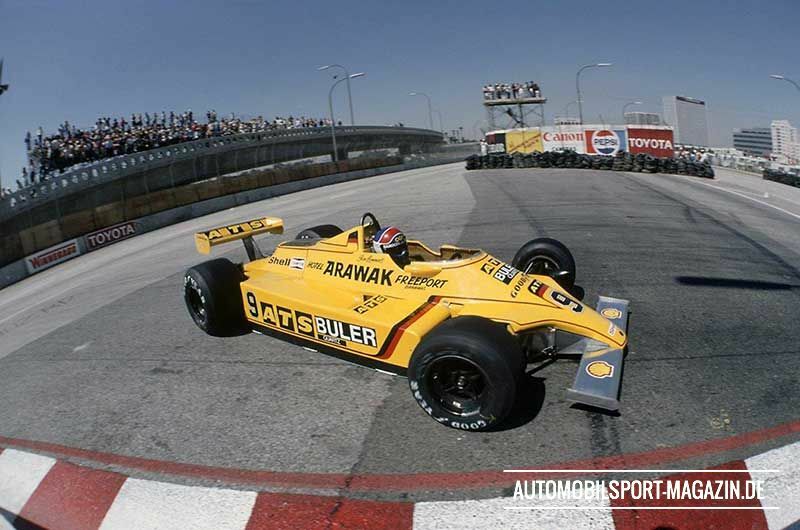 This would provide the novice ATS team with an excellent starting point as the Penske PC4 was a competitive chassis, which had given John Watson his first ever GP win. The new German Formula 1 team would operate out of premises at the ATS wheel factory in Bad Dürkheim, near Mannheim in the west of Germany. 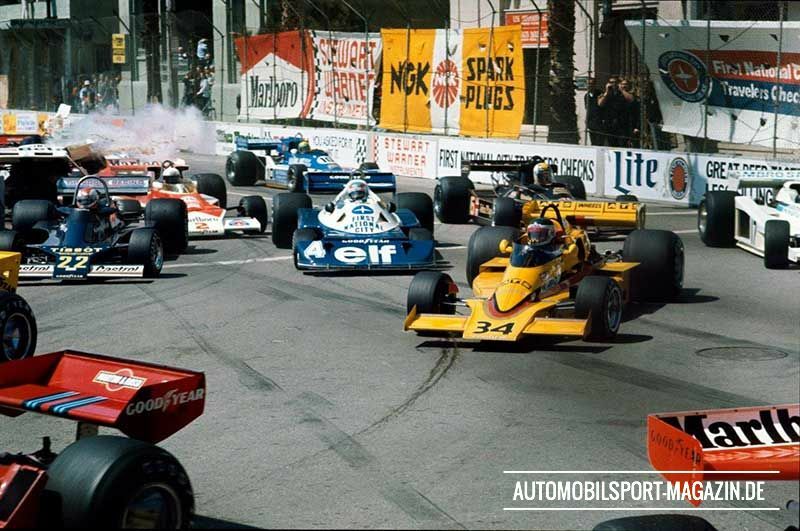 The re-liveried yellow ATS-Penske first appeared for round four of the 1977 championship at Long Beach as the team’s single-car entry. 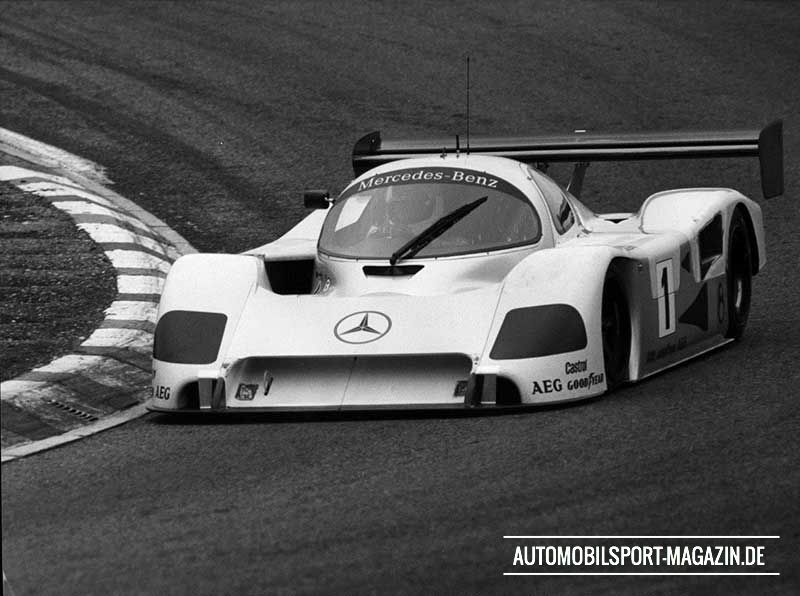 Before that, Hans-Joachim Stuck had been testing with the car at Le Castellet as he was scheduled to be the new team’s driver. 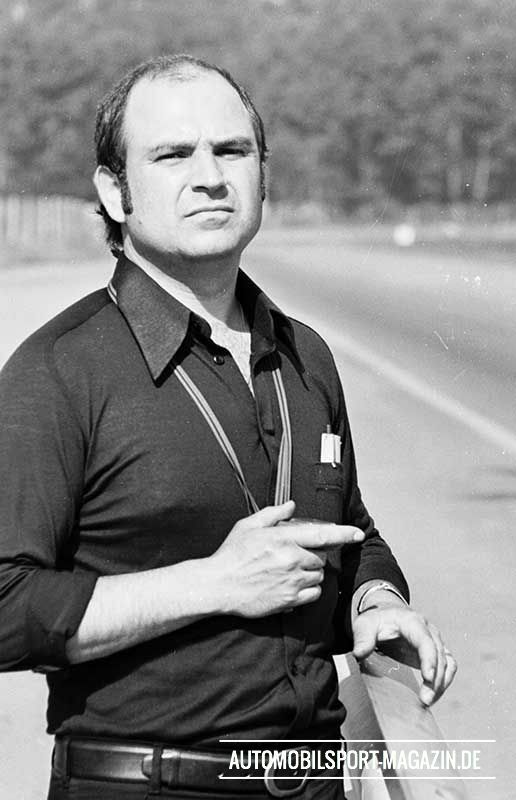 But after Brabham pilot Carlos Pace was tragically killed in a flying accident in March 1977, Stuck accepted Bernie Ecclestone’s offer to replace Pace at Brabham. With Stuck not available anymore, Günter Schmid hired Jean-Pierre Jarier instead. The Frenchman delivered immediate results. At Long Beach he put the ATS-Penske an impressive ninth on the grid despite having never once sat in the car before practice. In the race, Jarier came home a strong sixth after a thrilling battle with Gunnar Nilsson's Lotus. That sixth place earned ATS a championship point in its debut Grand Prix and it brought the newcomer team respectful applause from both the media and its F1 competitors. However, what had been a great start would turn out to be the only highlight of the year. For the rest of the season Jarier usually qualified in midfield but he often retired and when he finished he struggled to be in the top 10. ATS had no engineer with F1 experience to speak of and was nowhere in terms of set-up and development. 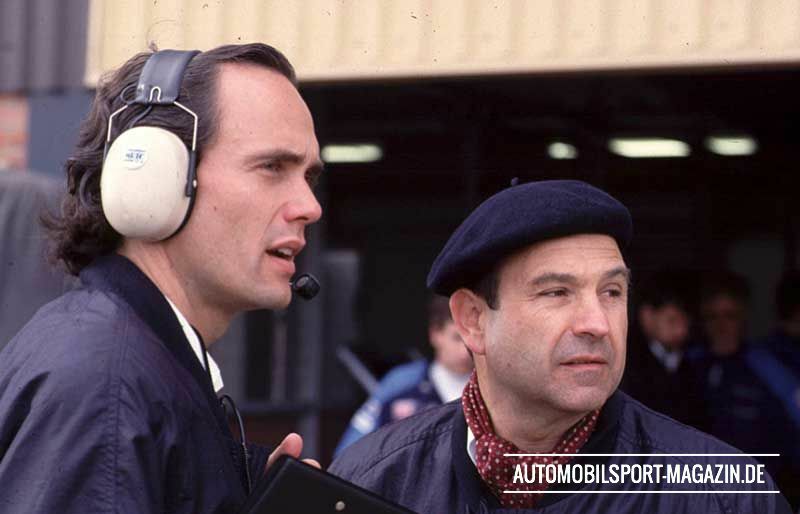 In an attempt to get back to competitiveness, team boss Günter Schmid hired Penske engineer Geoff Ferris, who designed the PC4 chassis for Penske and therefore knew the car perfectly well. 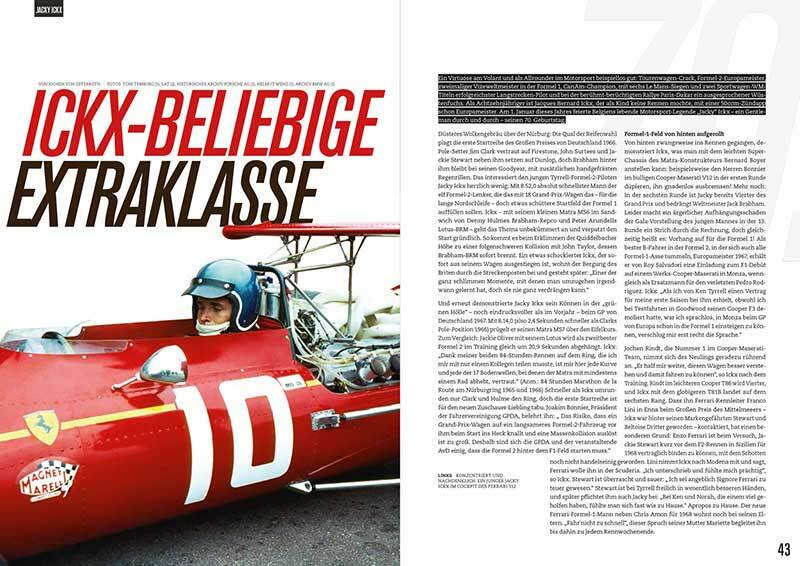 But Ferris did not appreciate Schmid’s autocratic style and would quit the team after just one race weekend. 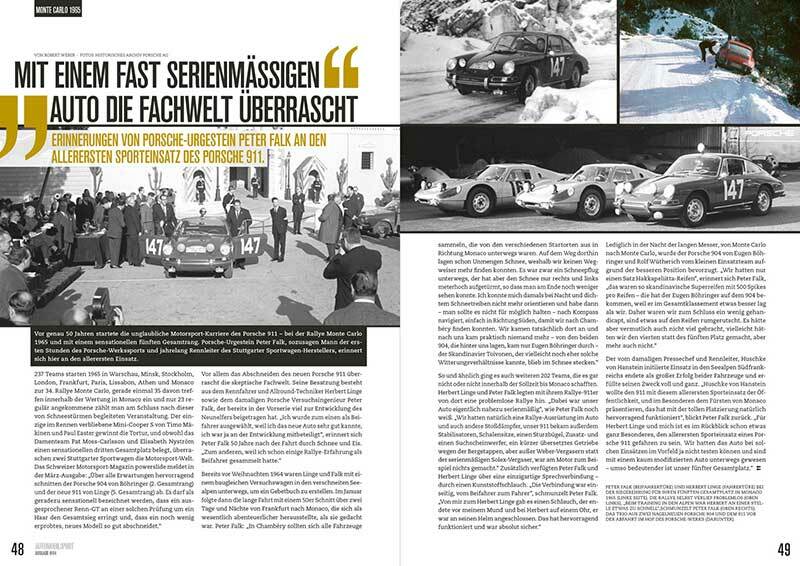 Peter Falk on the first works entry of a 911 - 50 years of Porsche 911 in motorsport •	and many more!